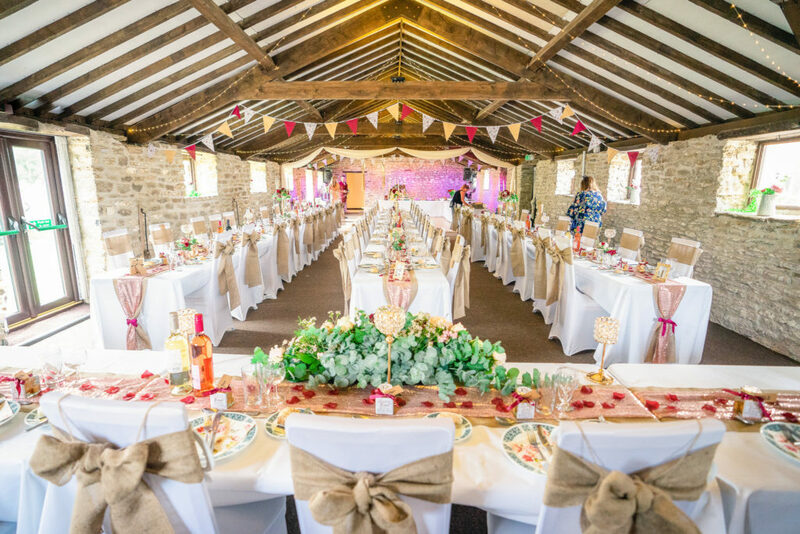 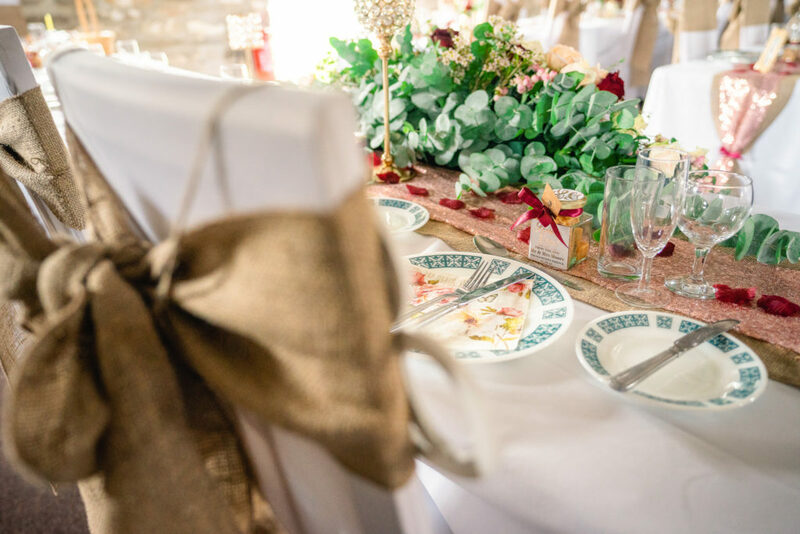 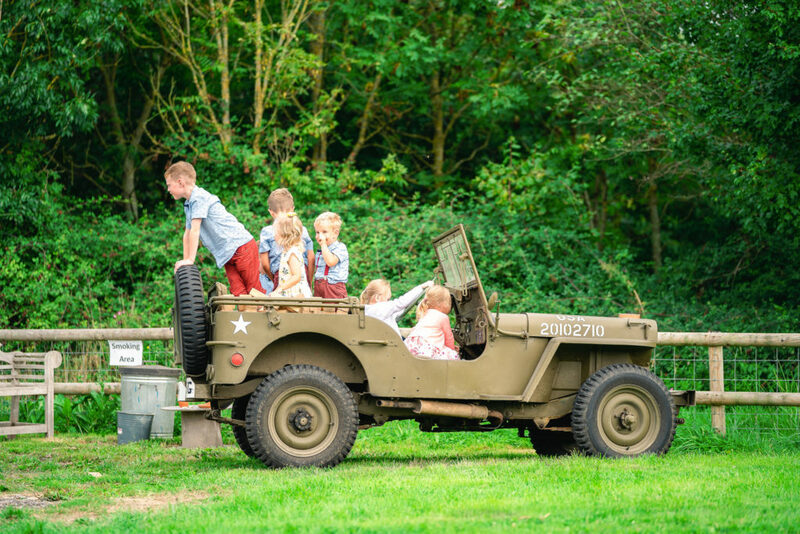 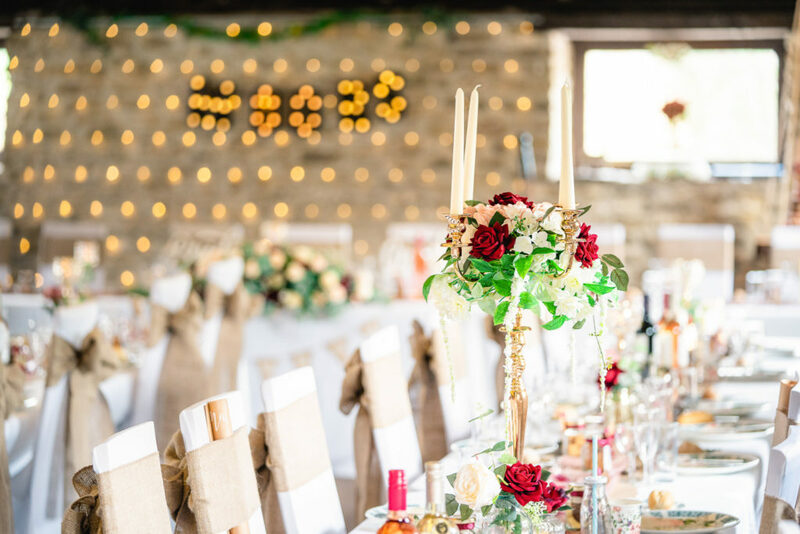 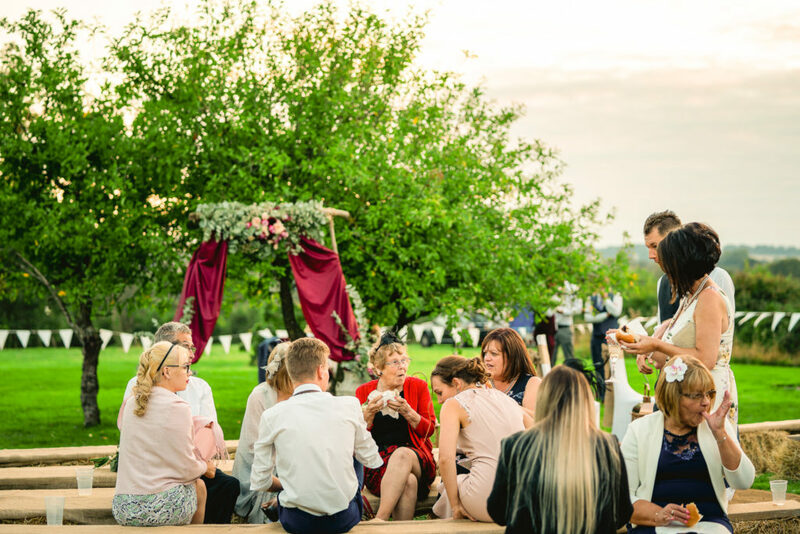 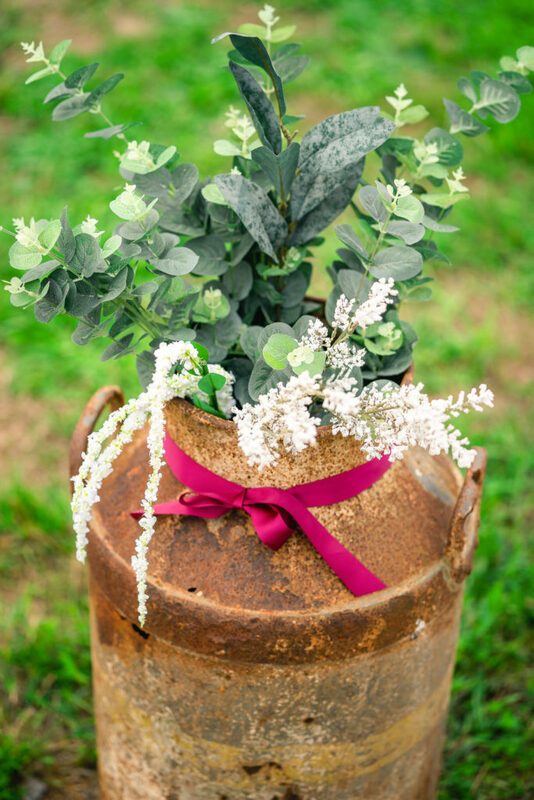 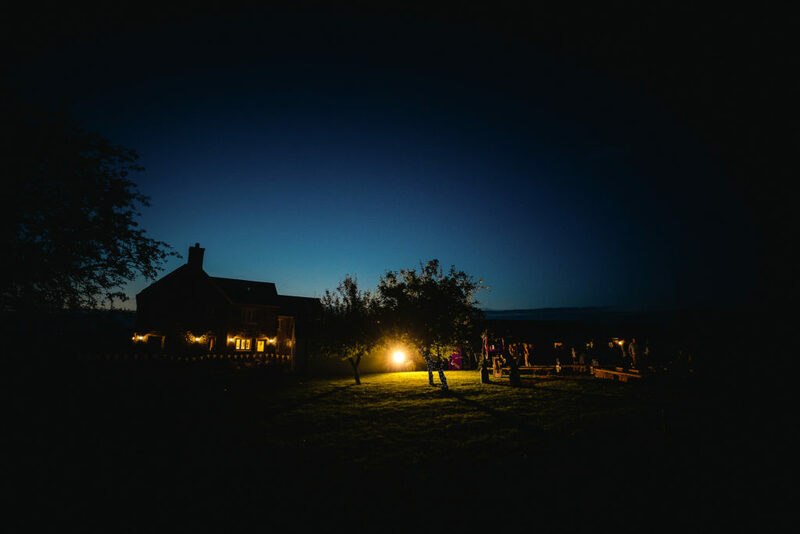 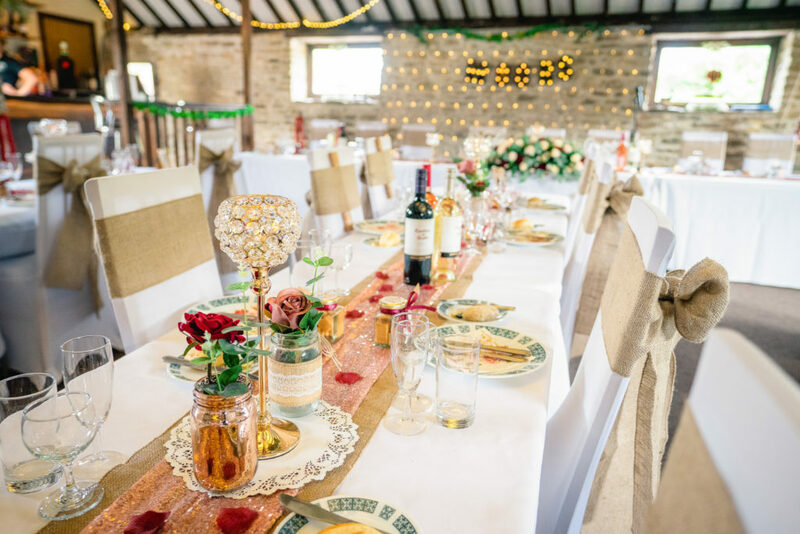 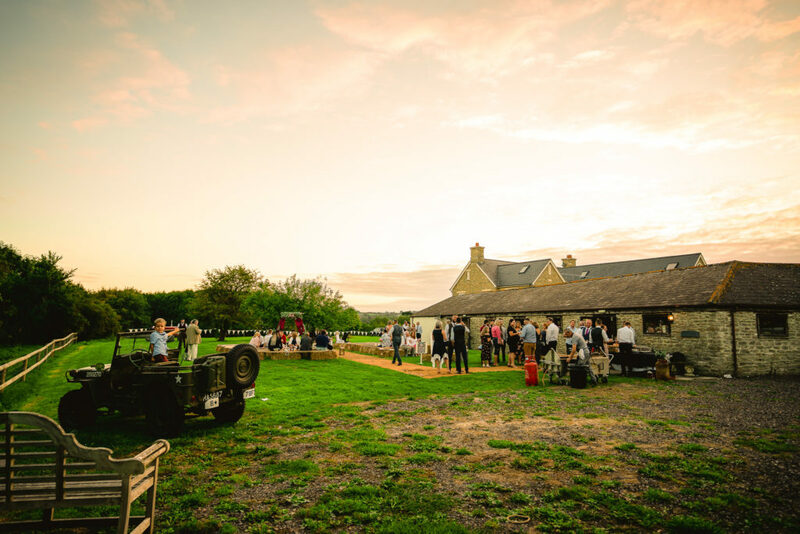 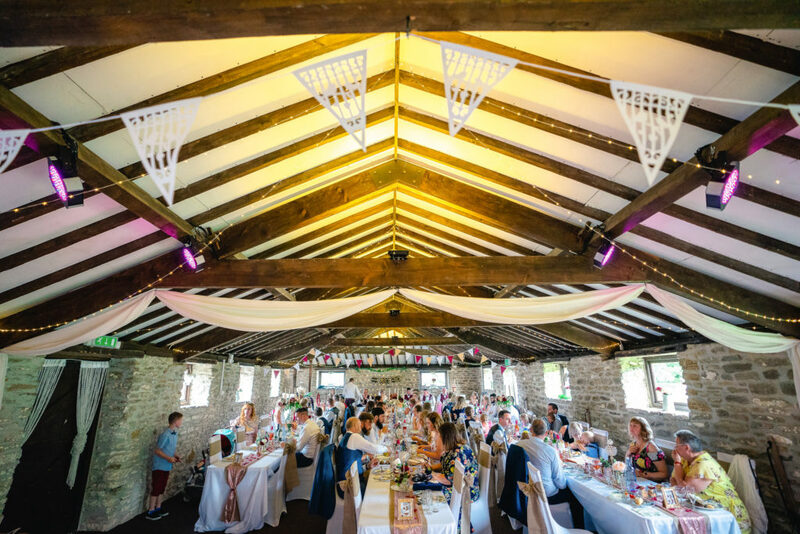 BEAUTIFUL Everything: people, location, venue, styling, weather and food! 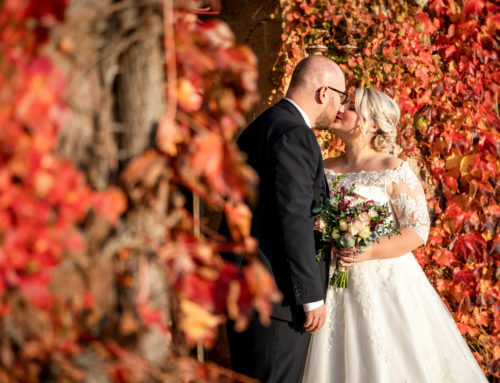 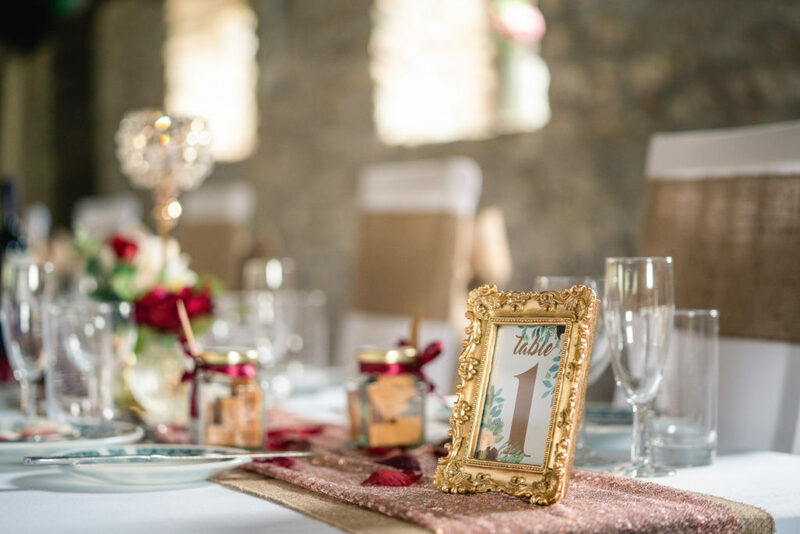 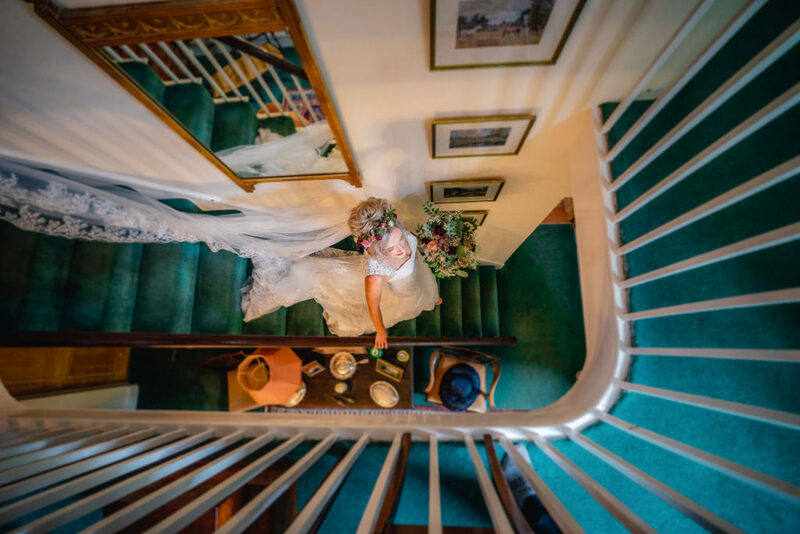 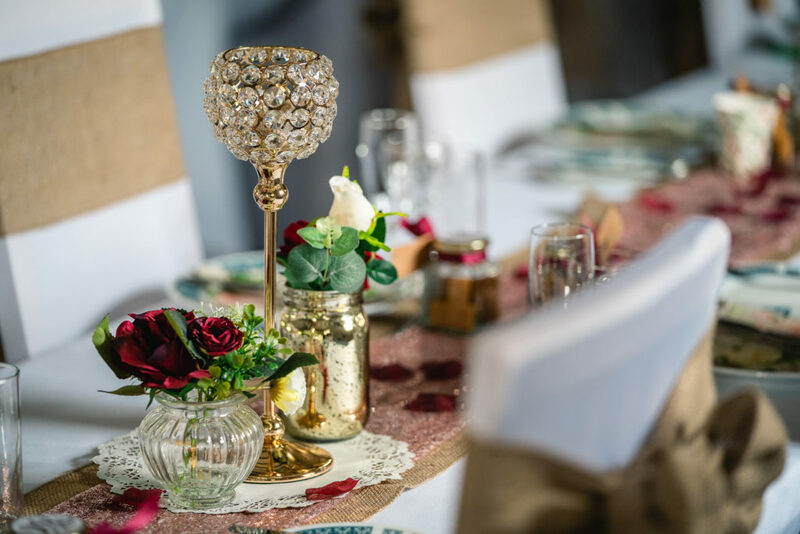 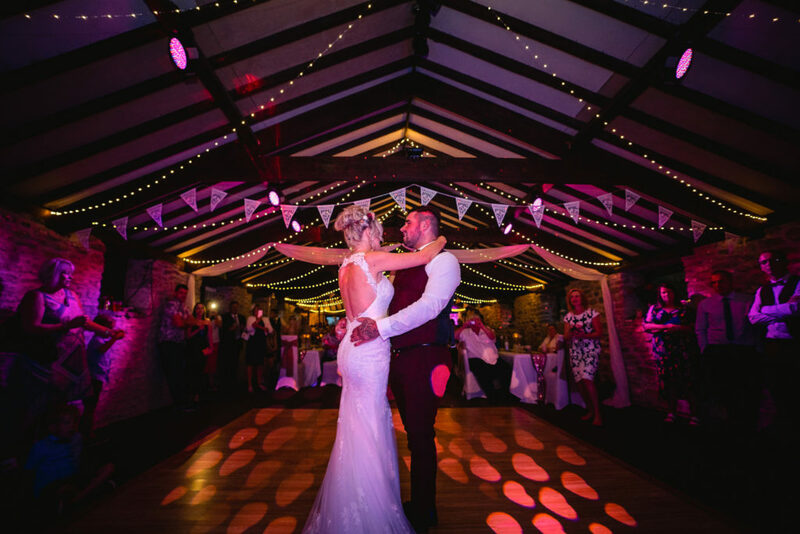 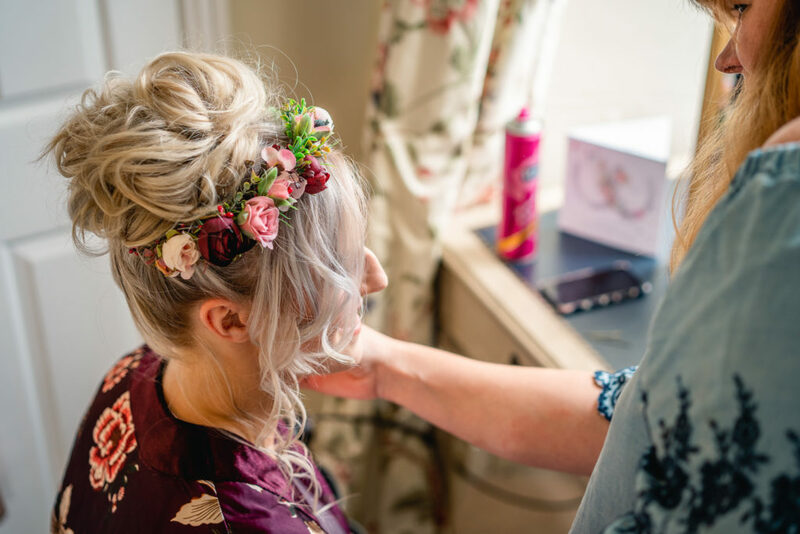 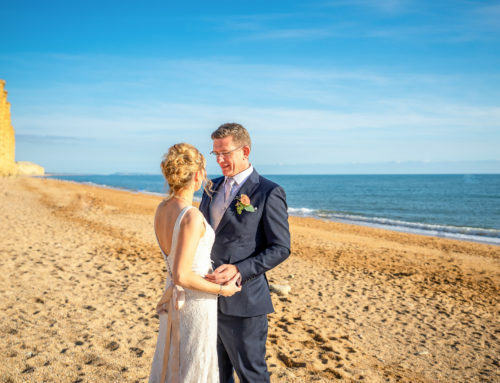 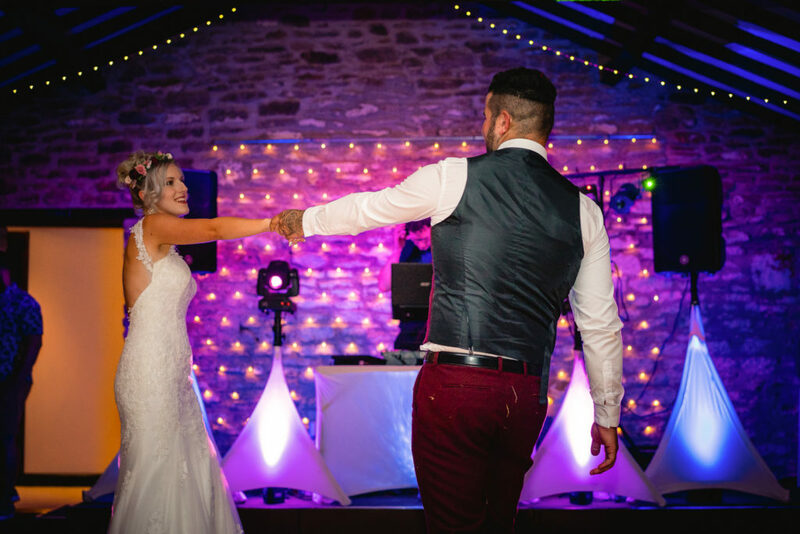 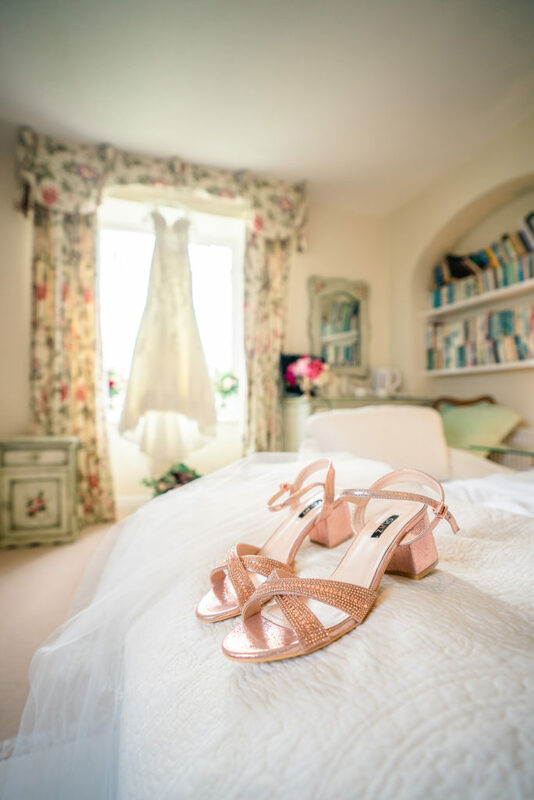 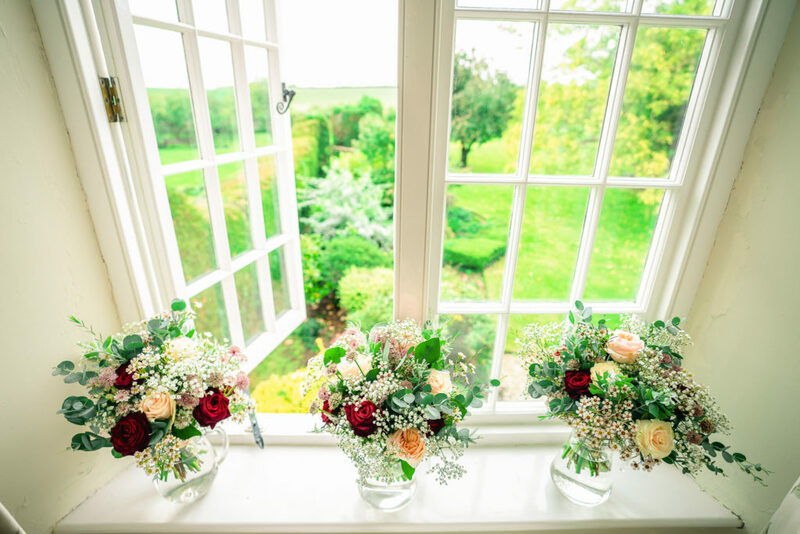 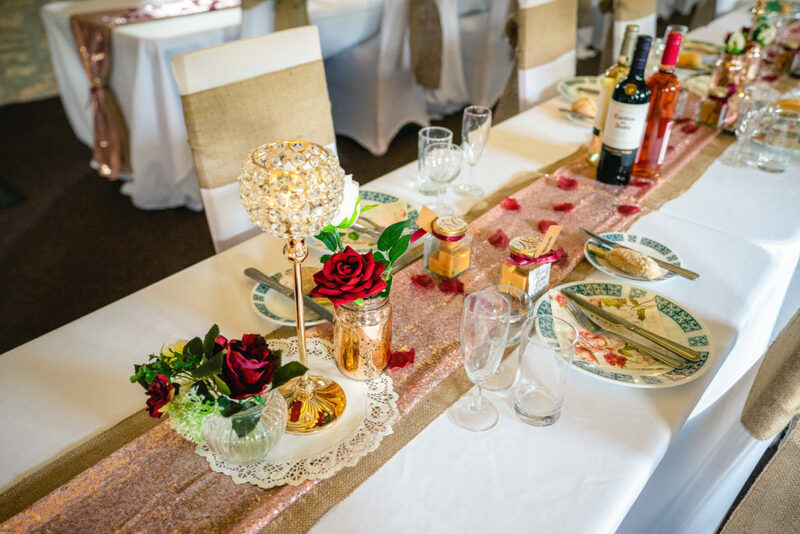 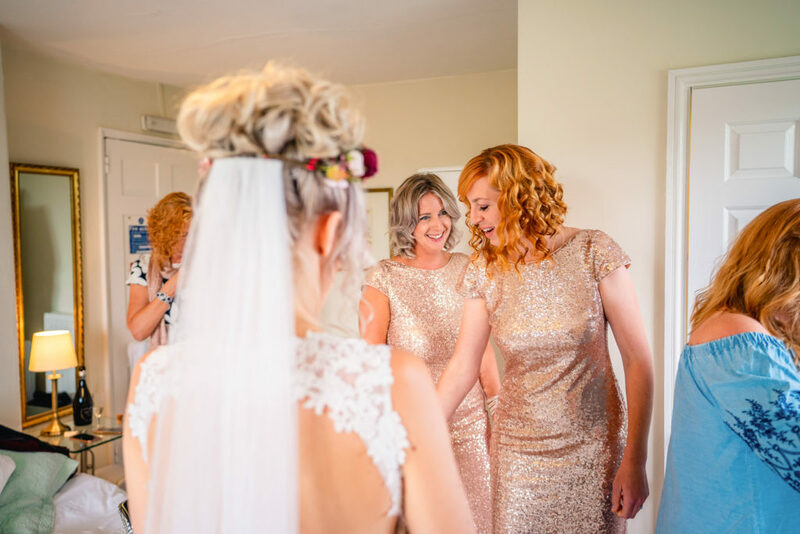 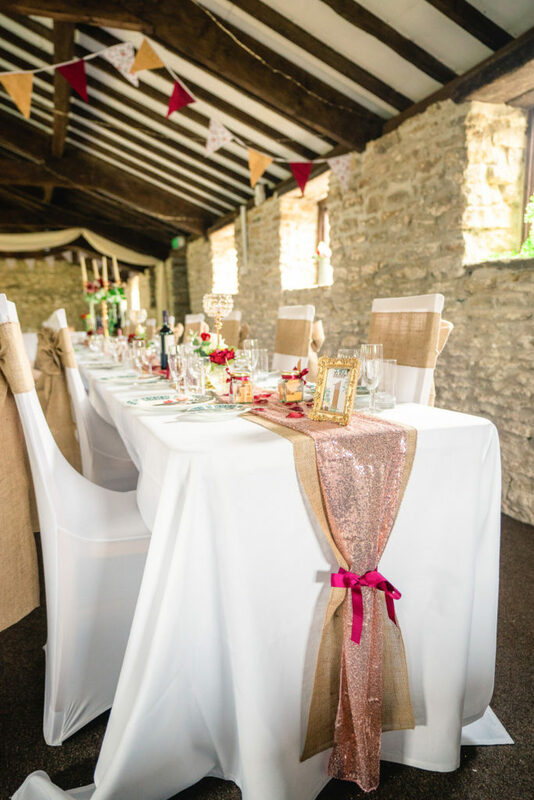 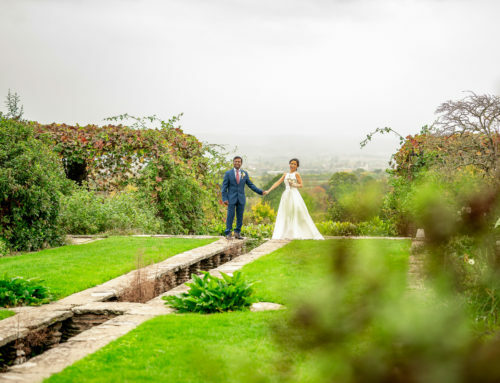 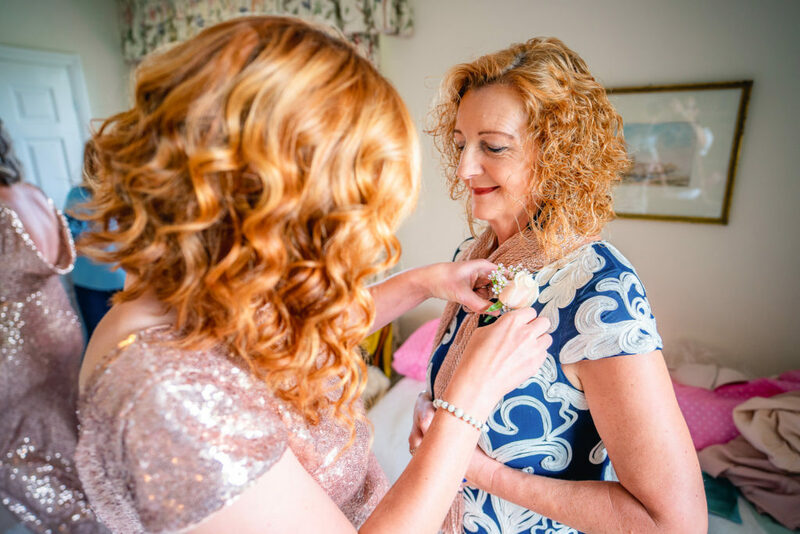 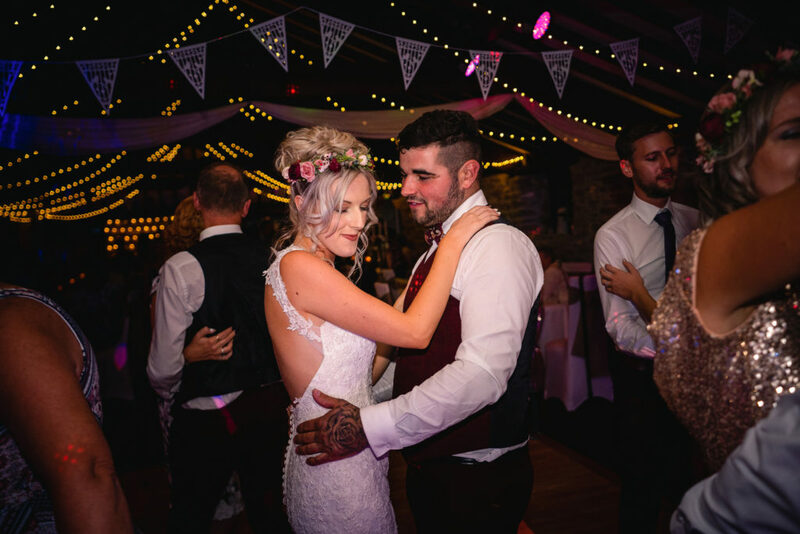 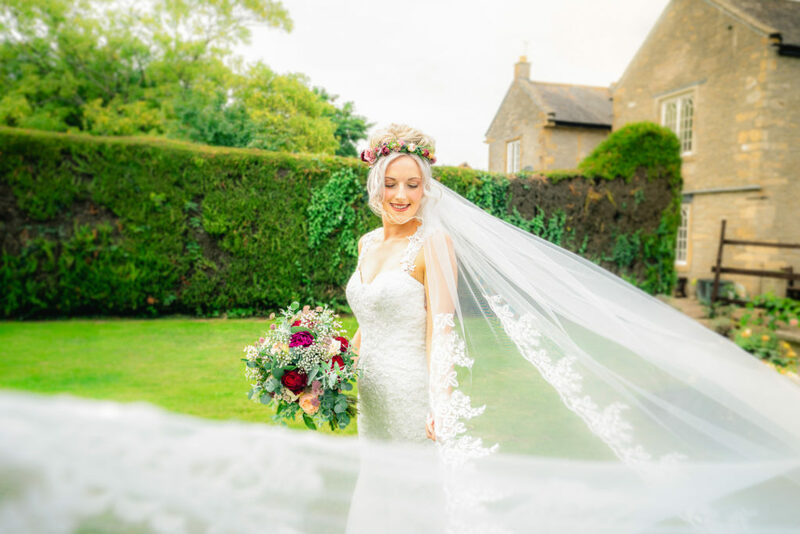 Julia and Aaron’s special day was incredible, so much thought had gone into absolutely everything with absolutely superb styling. 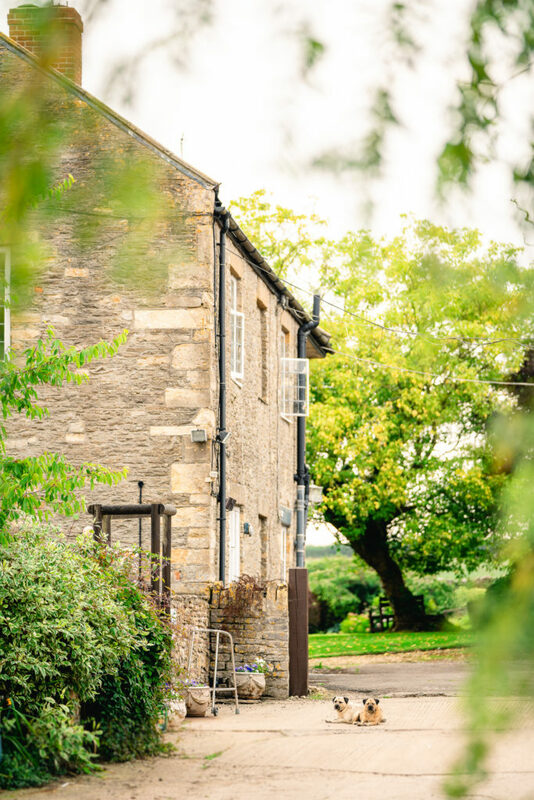 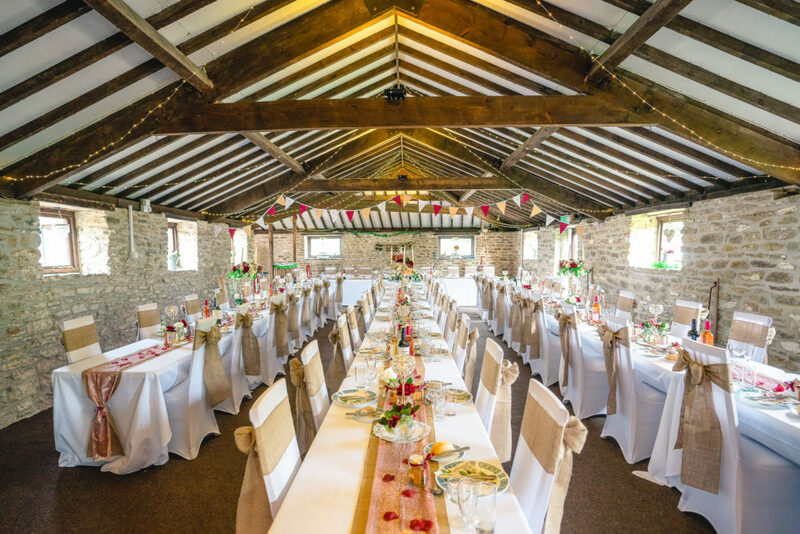 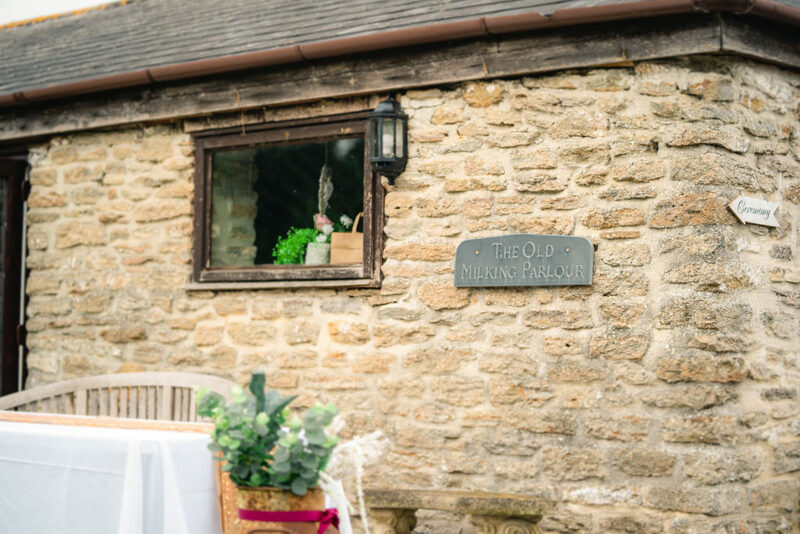 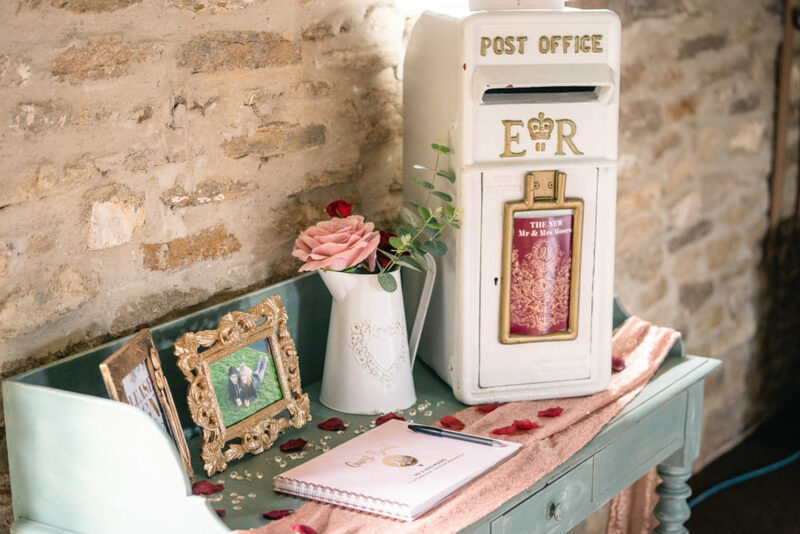 The joy of choosing The Old Milking Parlour at Cavokay House is that you have a beautiful starting point for a stunning bespoke wedding. 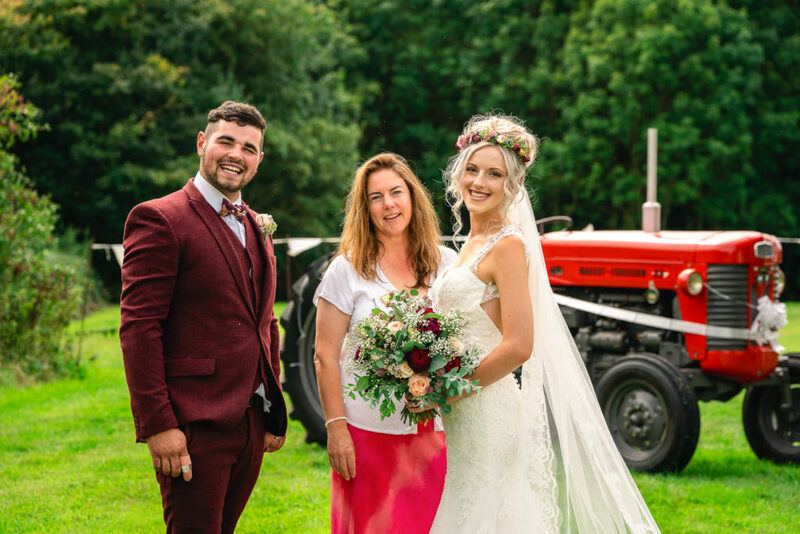 Lou and Colin the owners of the venue are truly wonderful people, nothing is too much, they’ll look after you and have a wealth of knowledge on all things weddings. 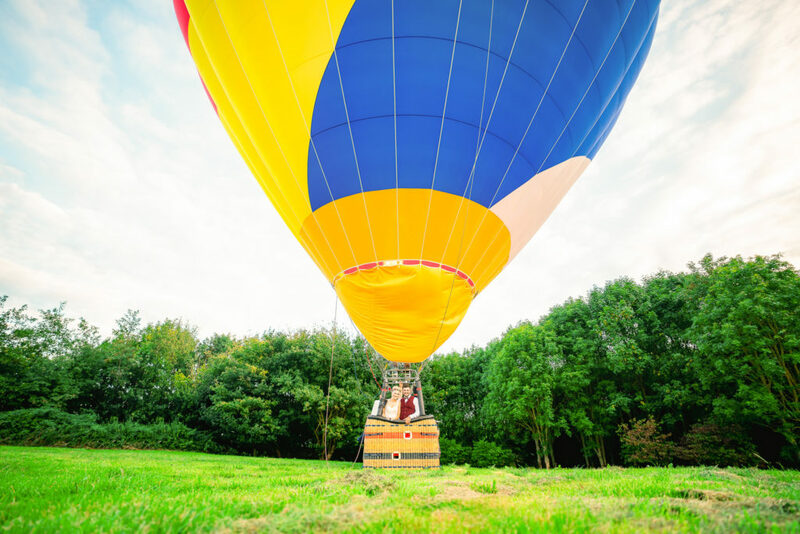 The day started for me at Mc Donalds, yes, no joke! 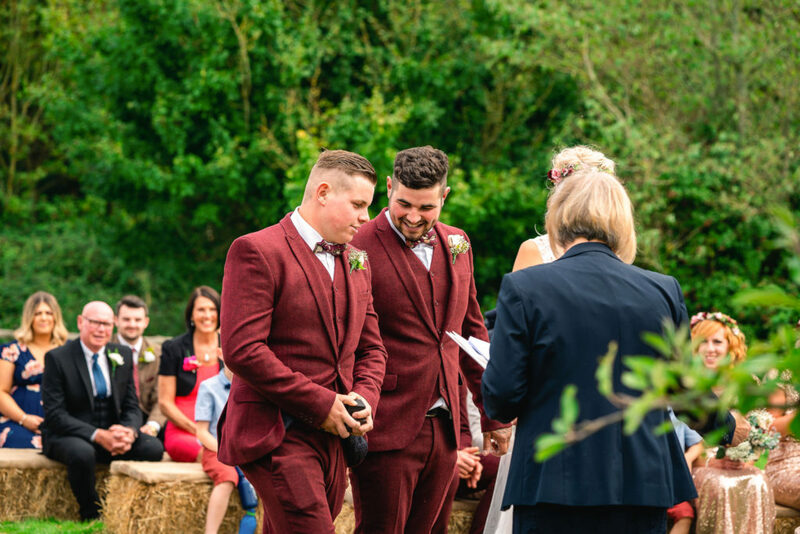 it did for the groom too as we spotted each other in the drive thru! 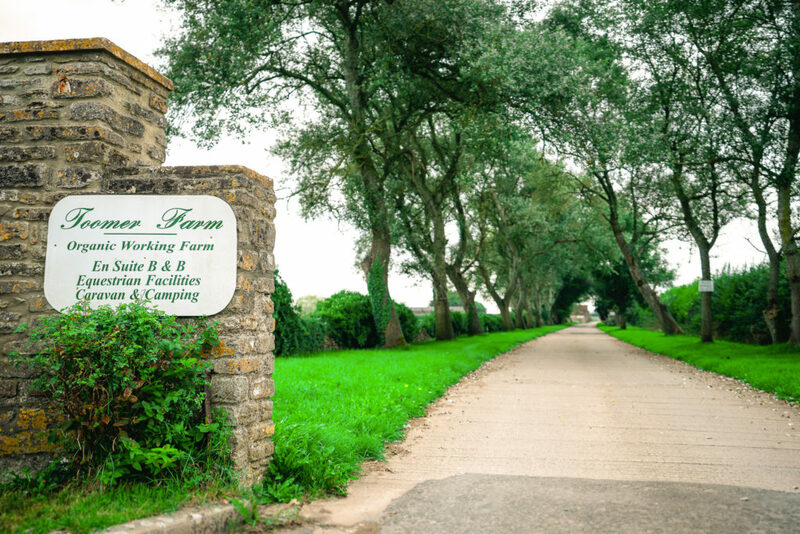 Shortly followed by a trip out to The Old Milking Parlour to check out the stunningness (new word!) 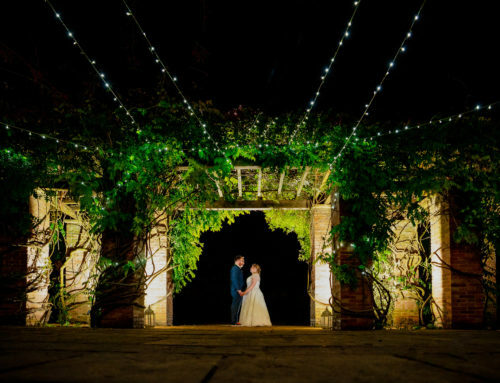 of the venue and styling. 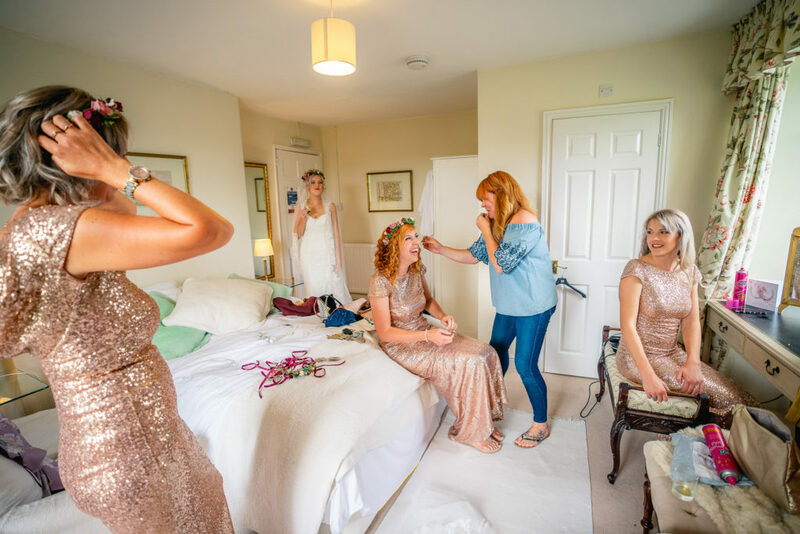 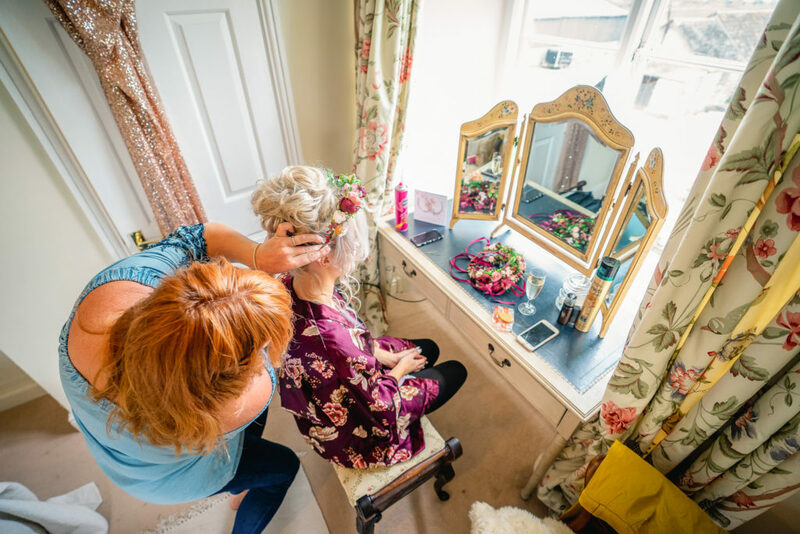 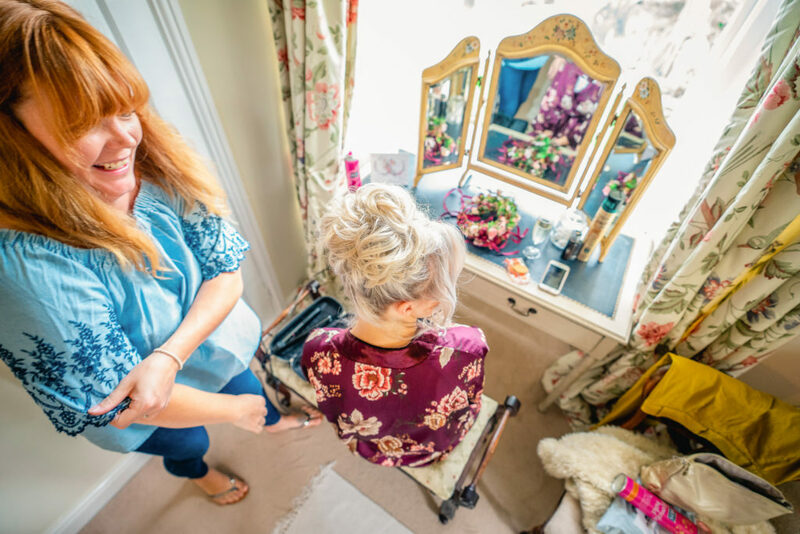 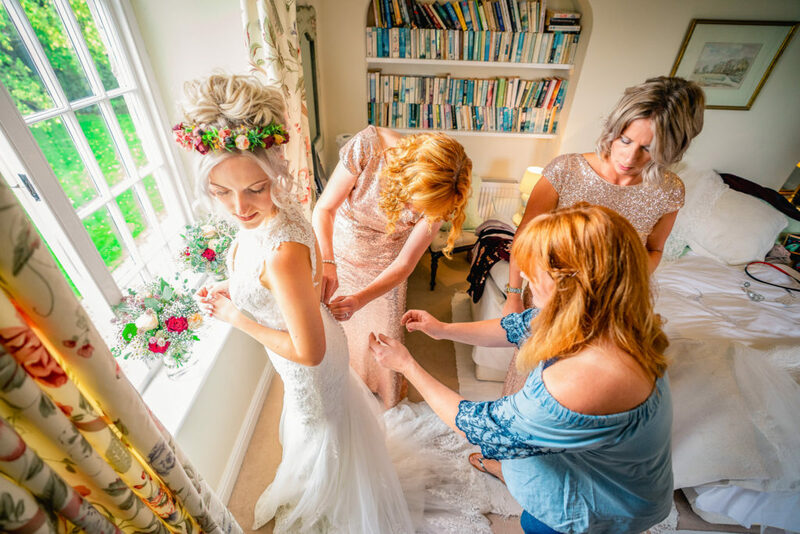 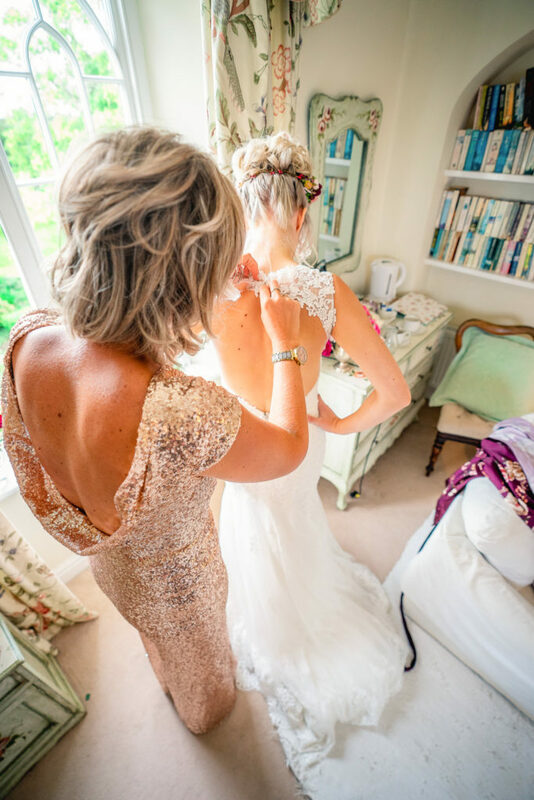 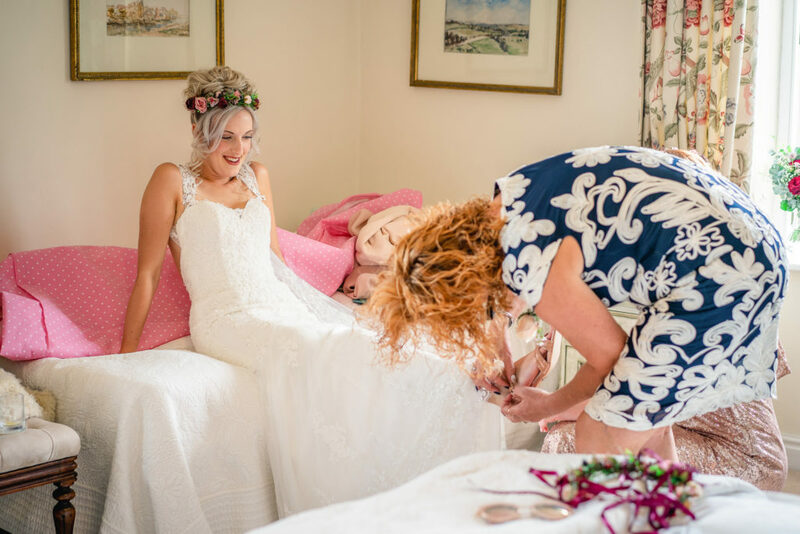 After admiring the hard work prepared by all I popped into join Julia in her bridal preparations at Toomer Farm, a short drive from the The Old Milking Parlour. 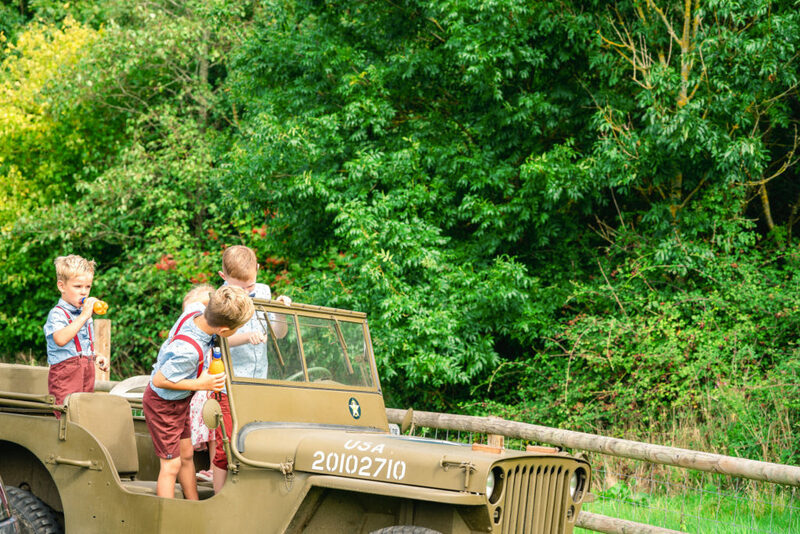 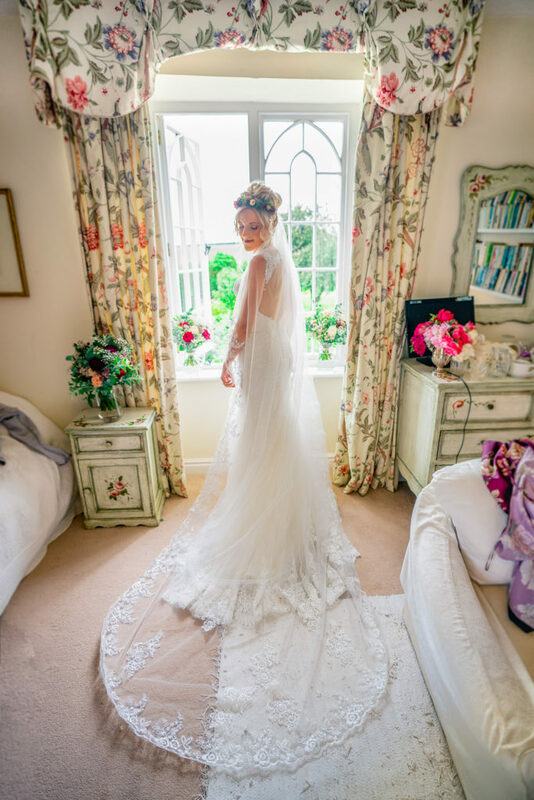 There were many giggles, loads of beautiful natural light filling the room and before we knew it we were on our way. 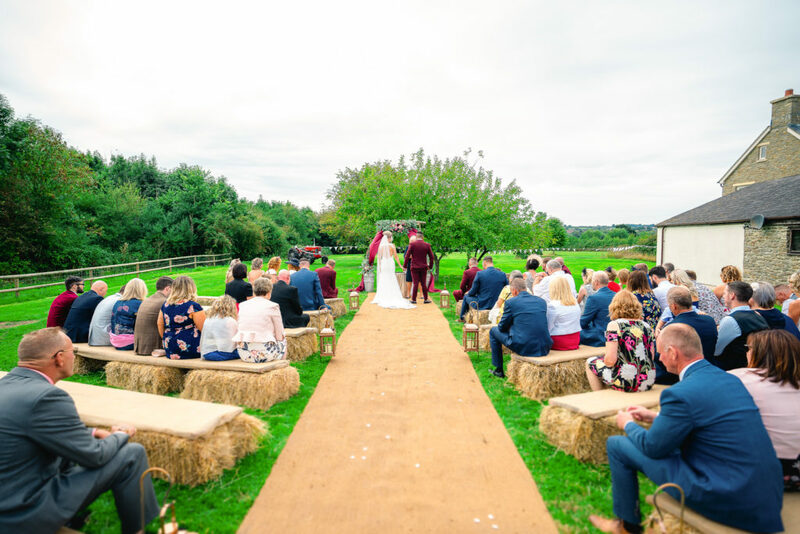 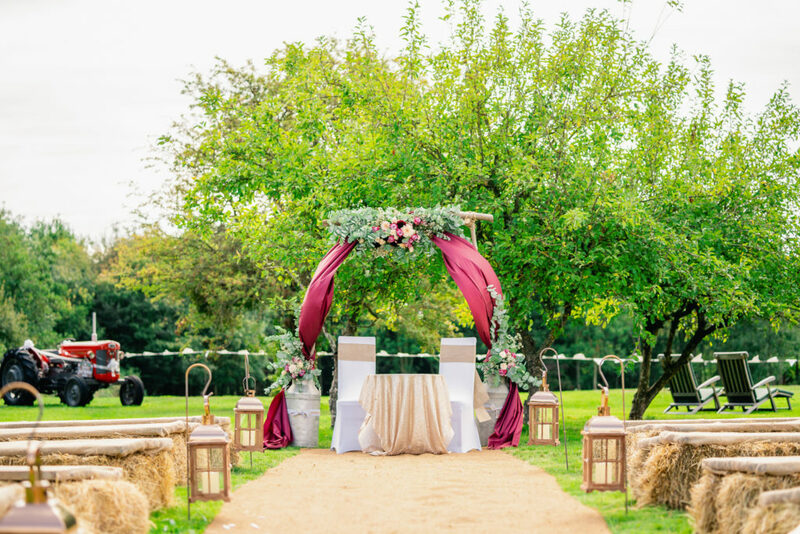 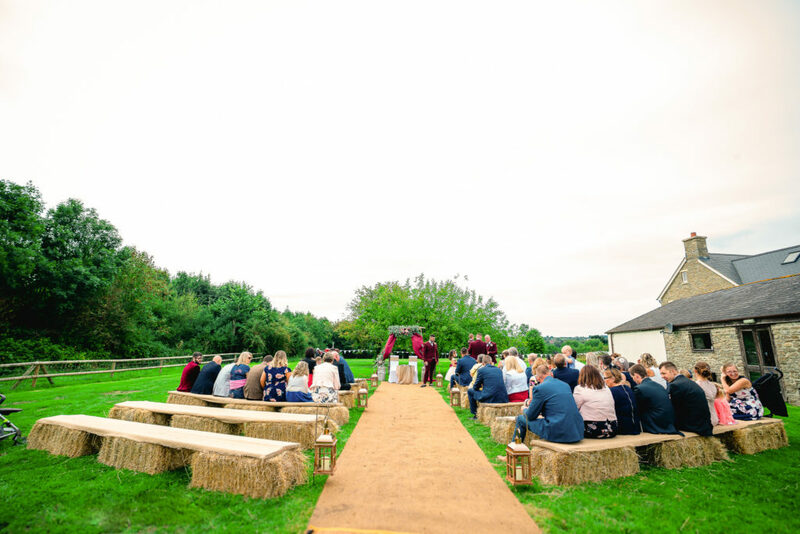 The ceremony was a total hit, hay bale seating and a beautiful flour arch made such a friendly ceremony everyone was smiling the whole time, the best smile was Aaron’s as his bride to be walked down the isle. 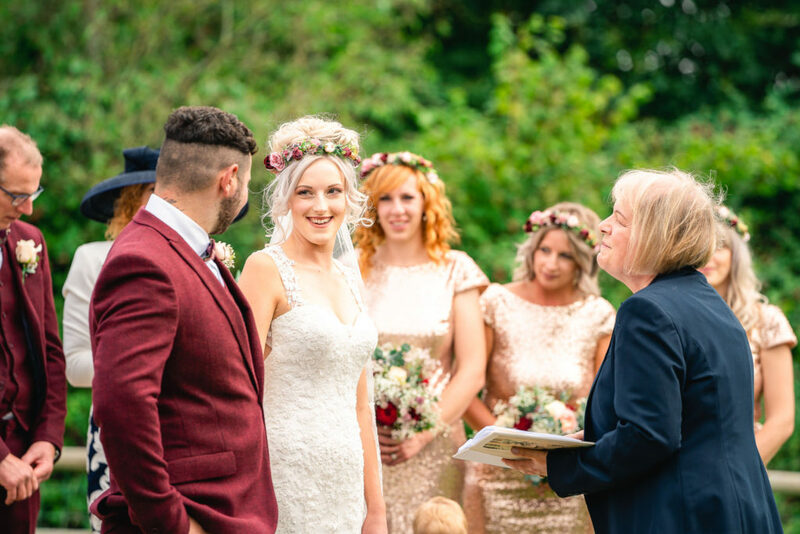 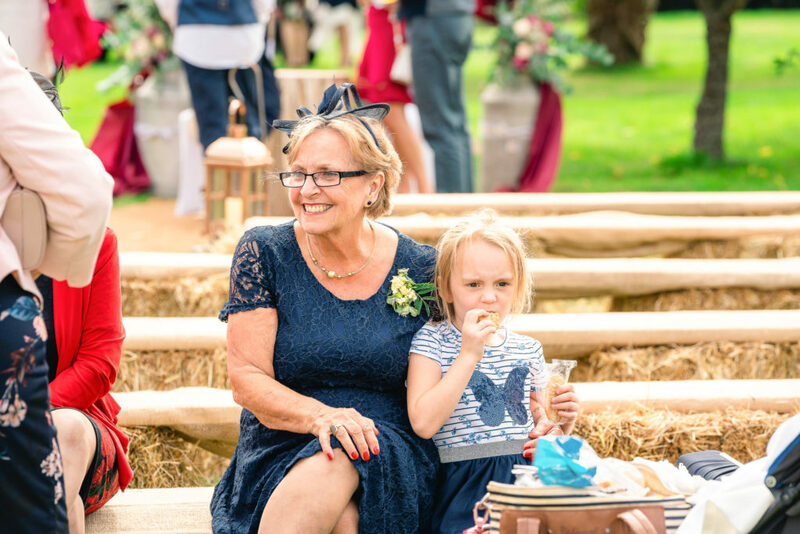 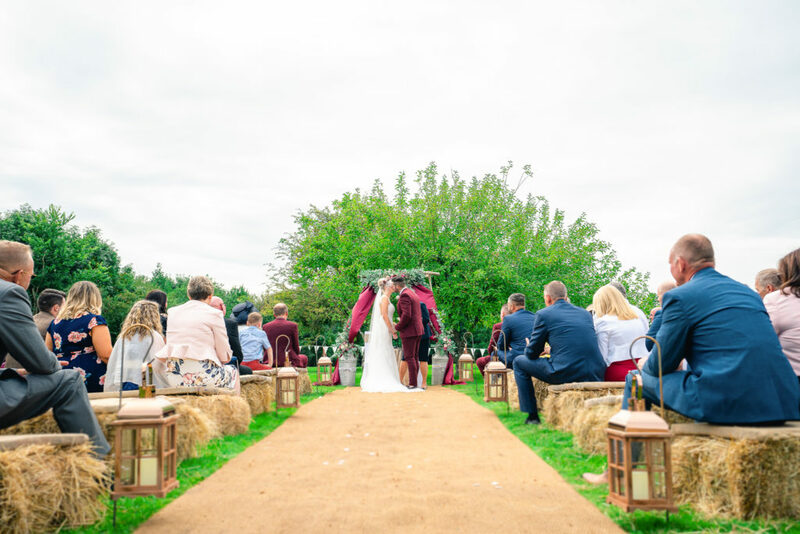 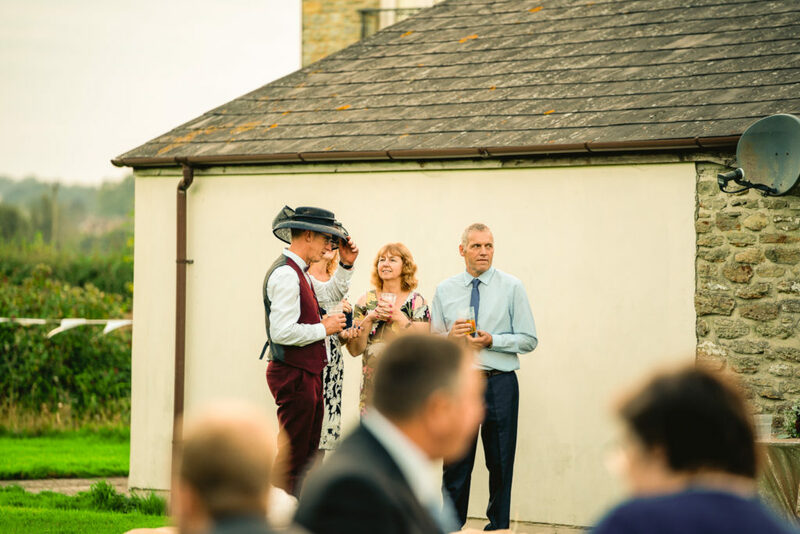 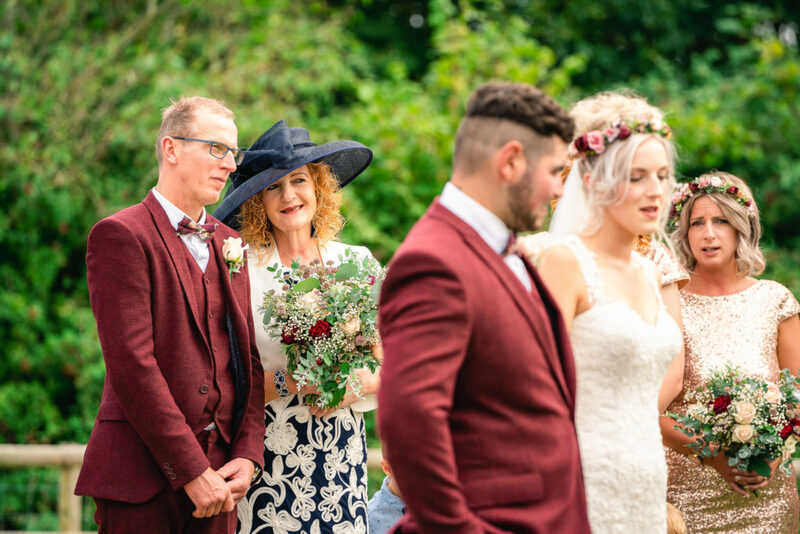 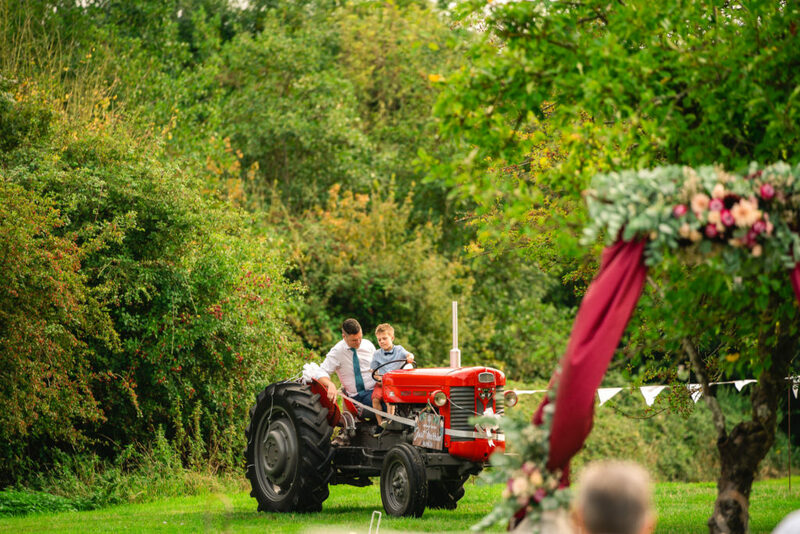 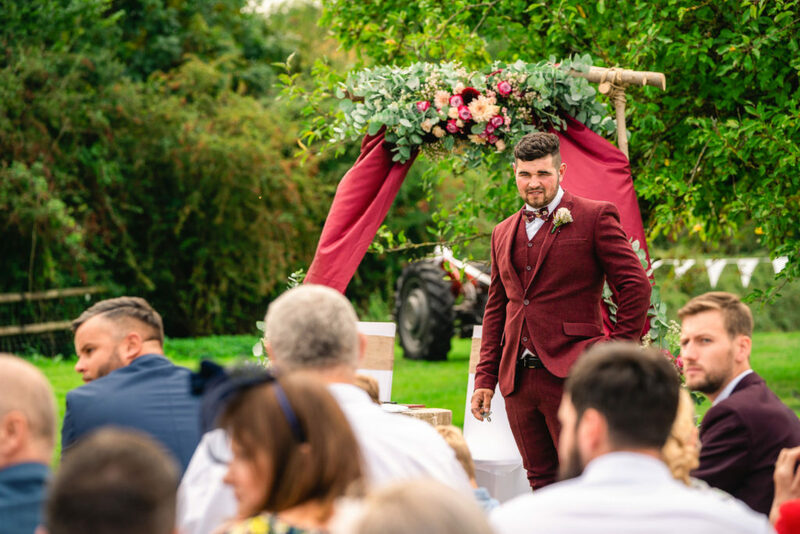 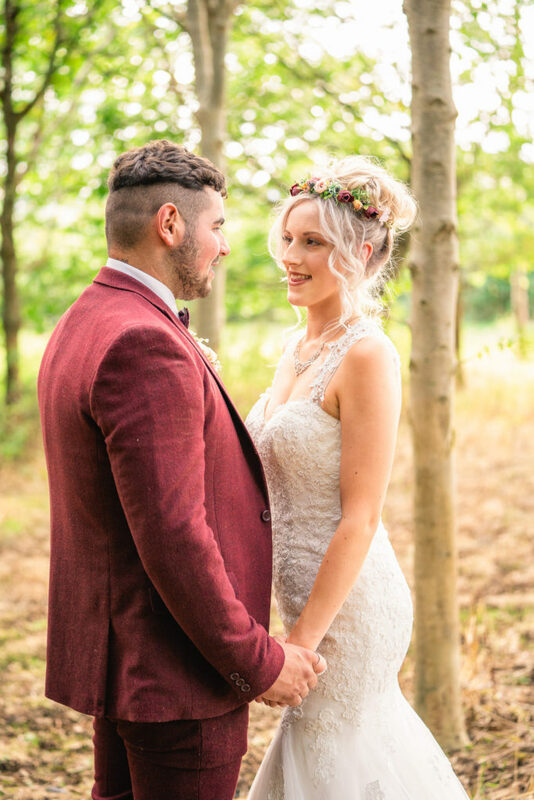 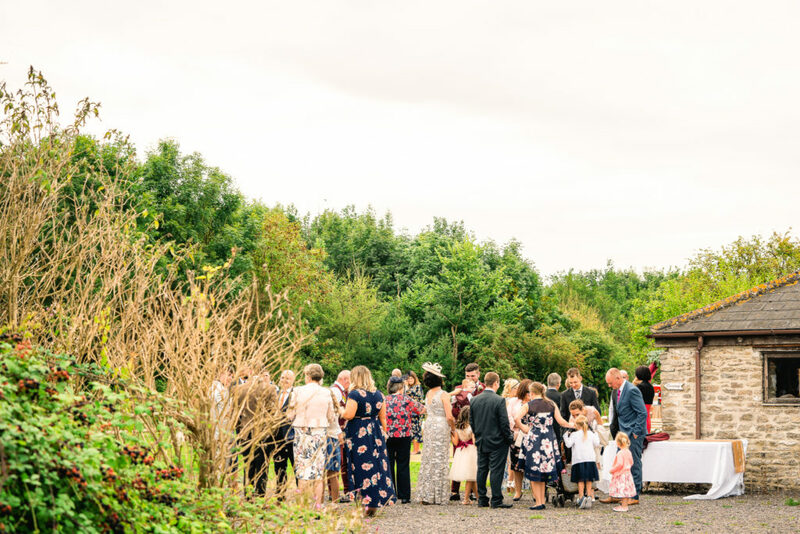 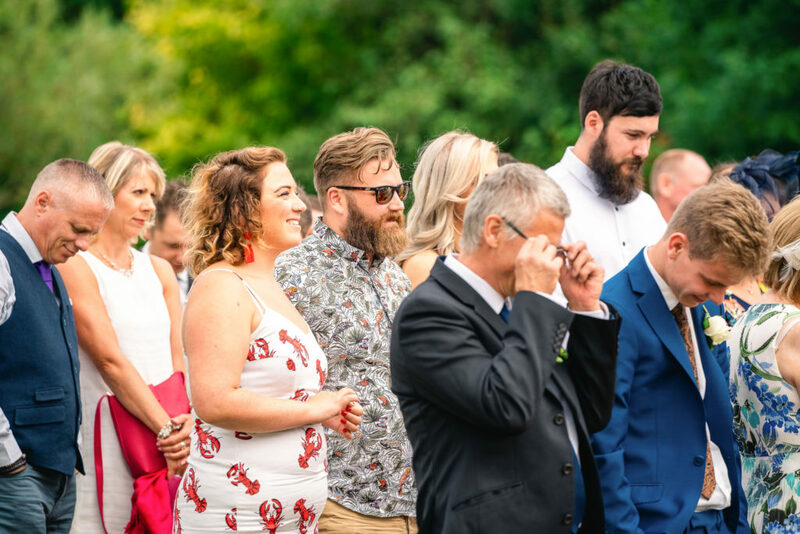 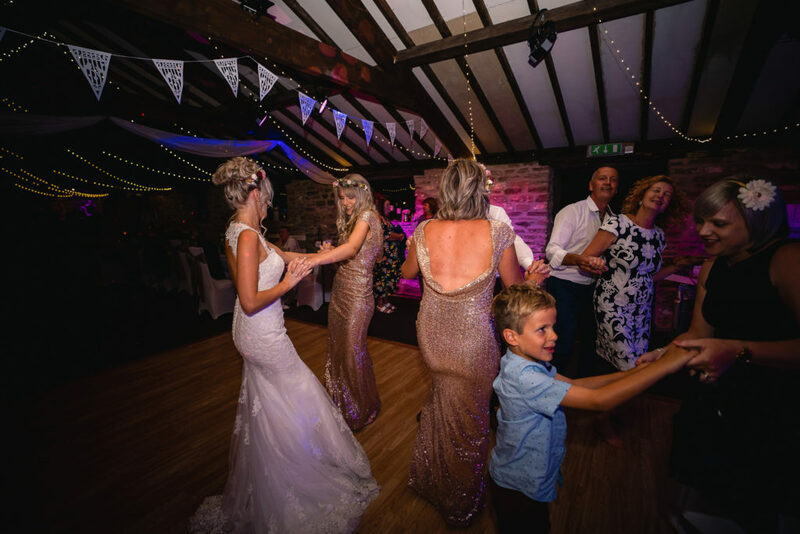 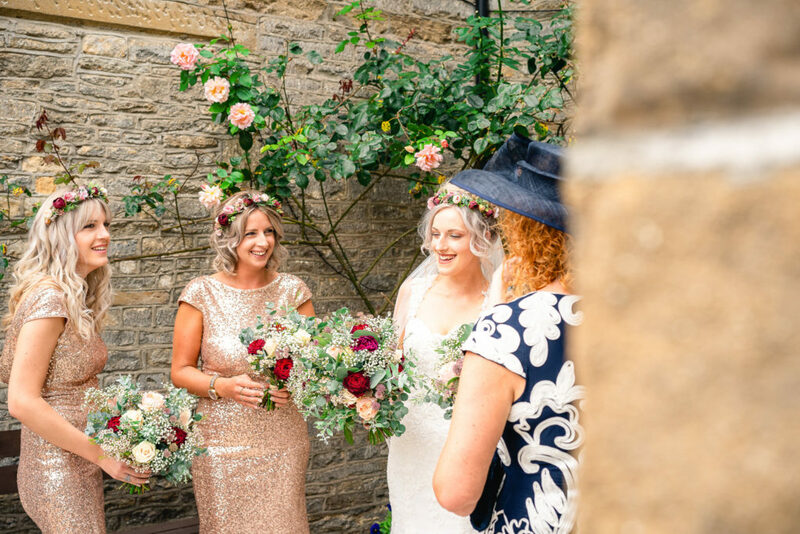 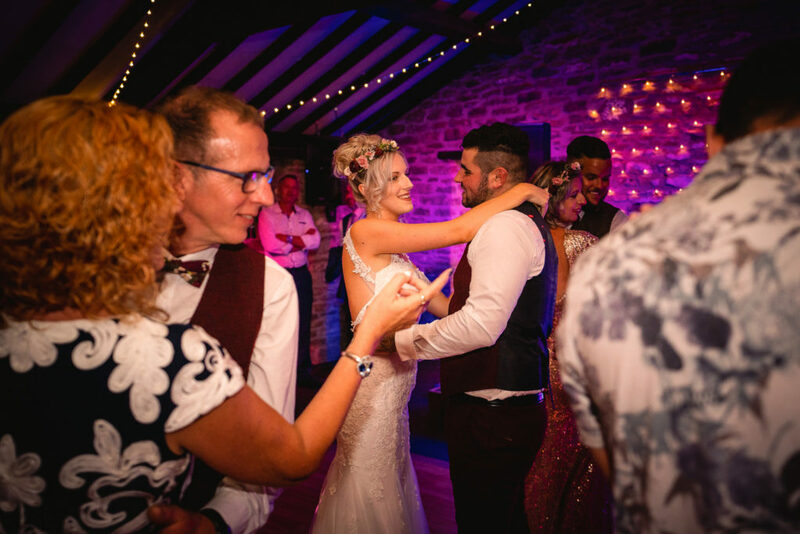 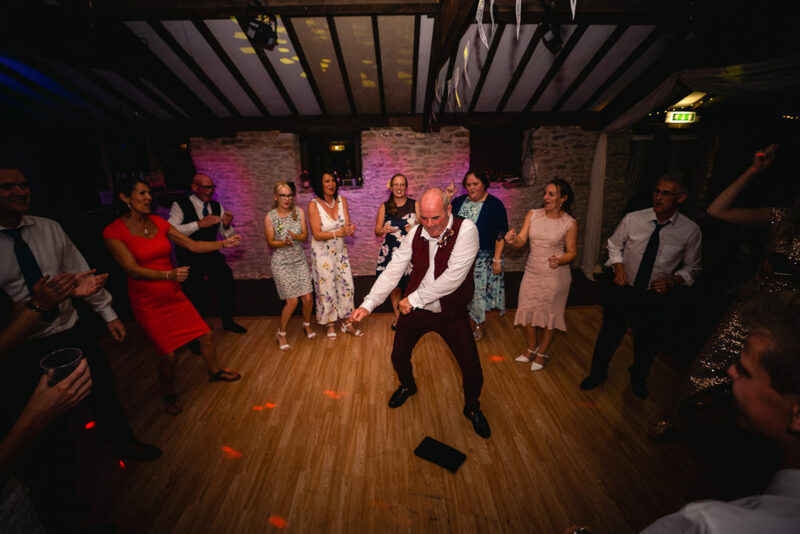 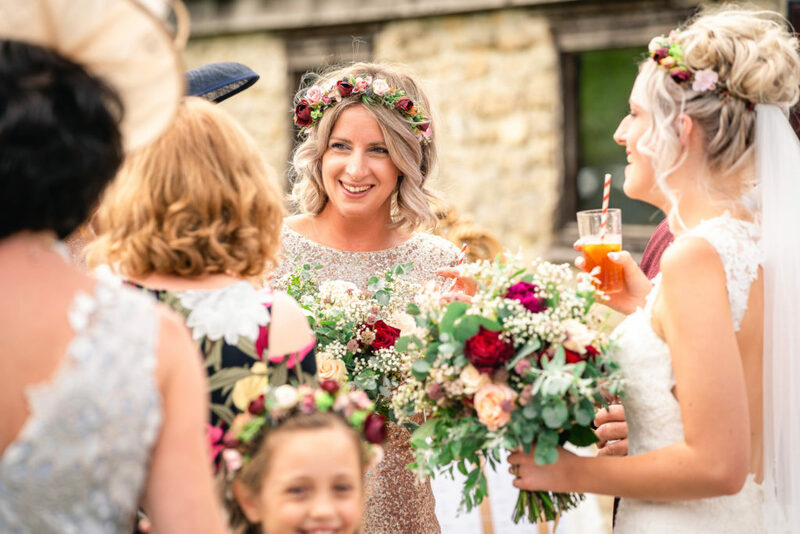 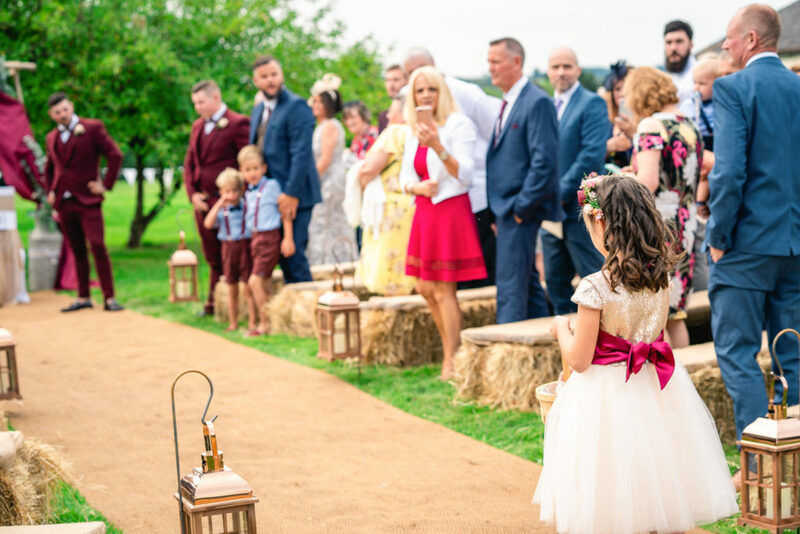 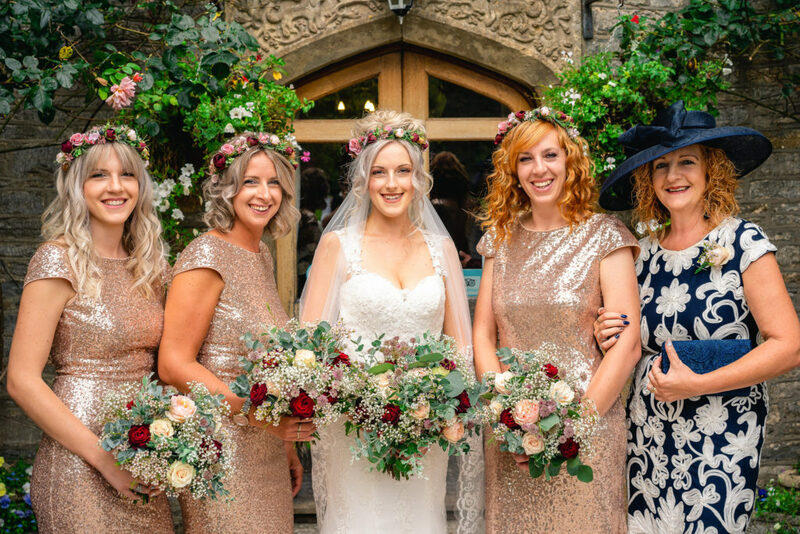 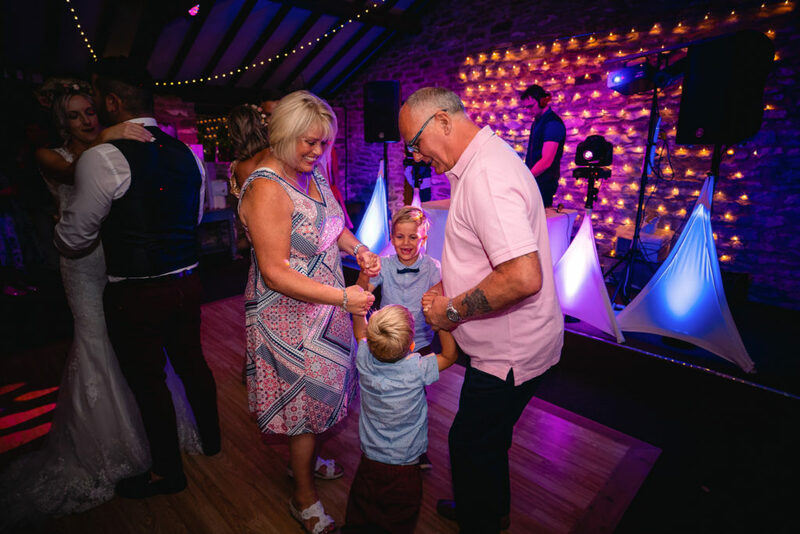 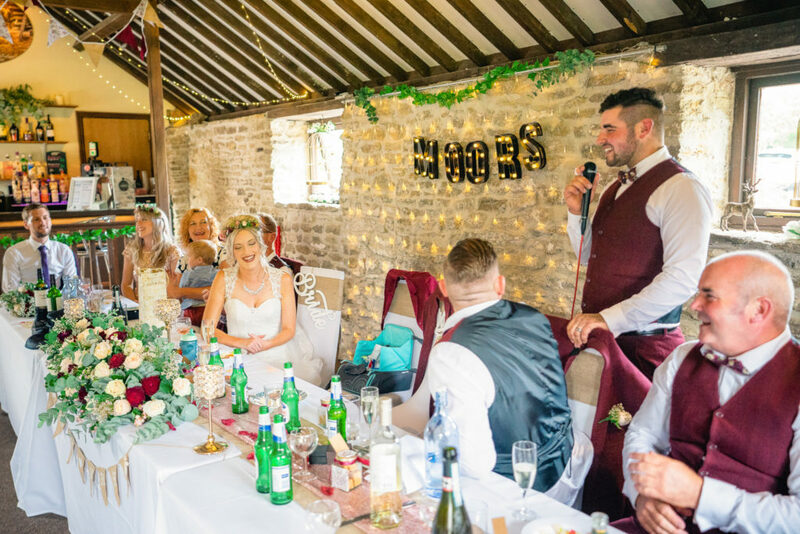 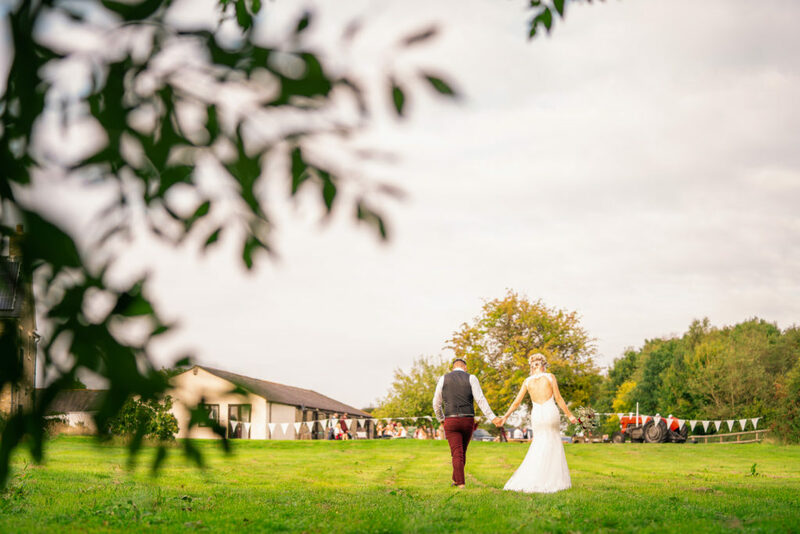 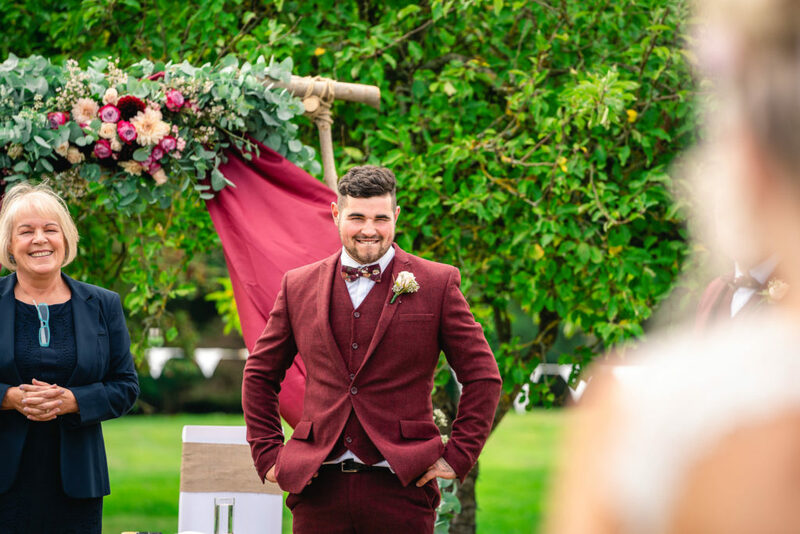 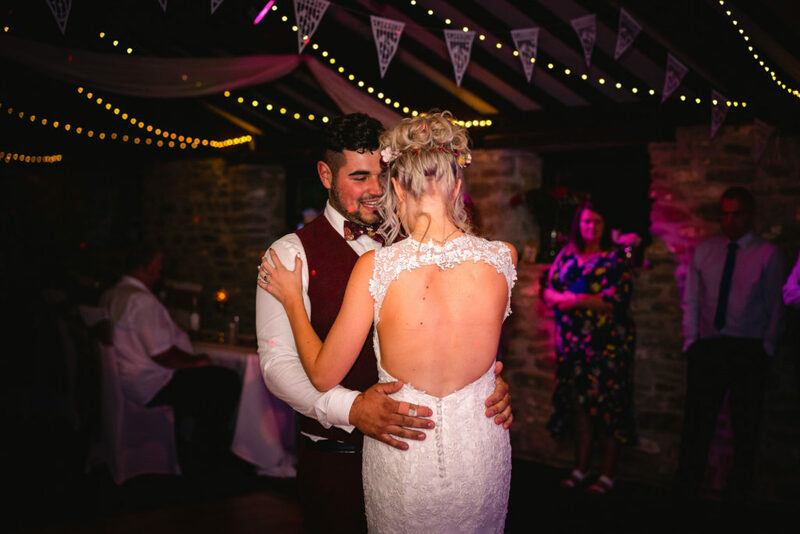 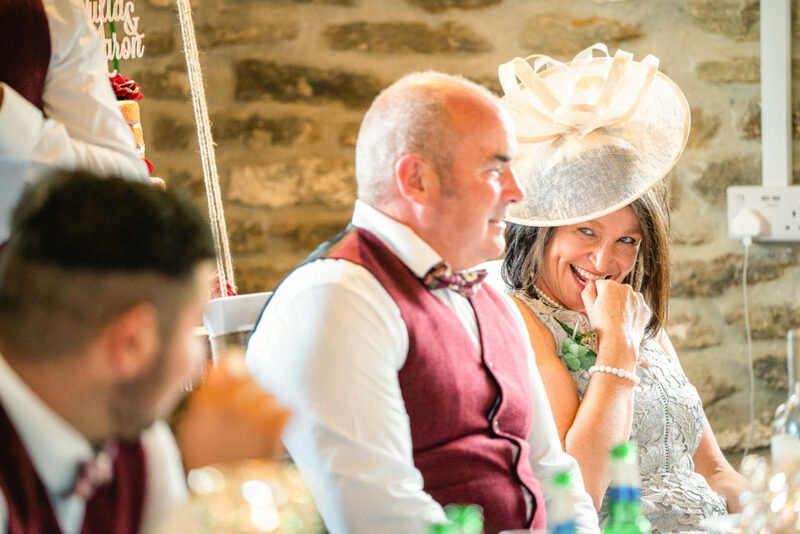 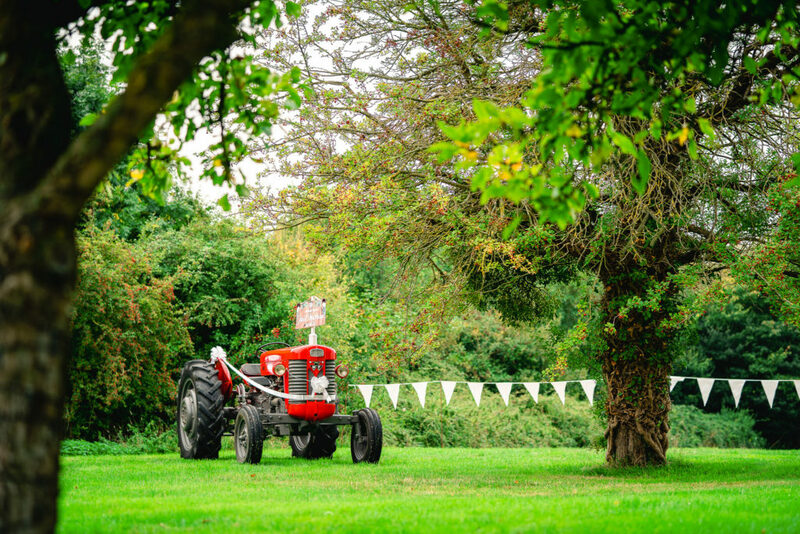 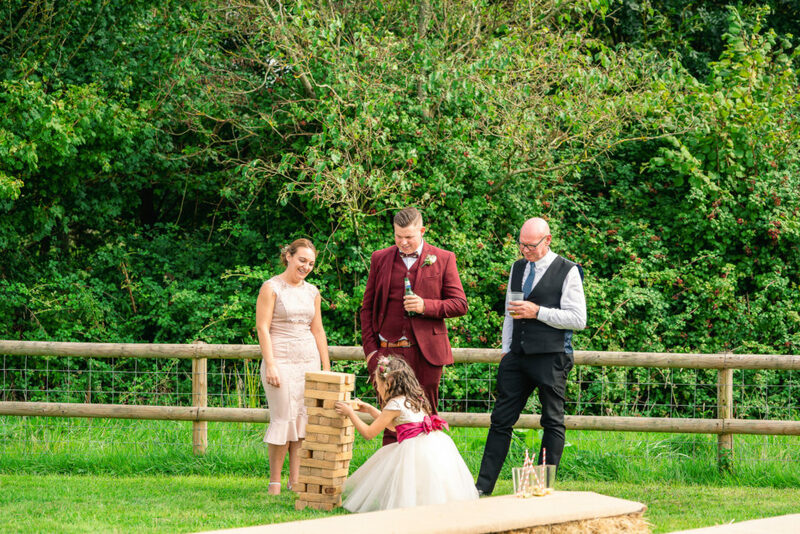 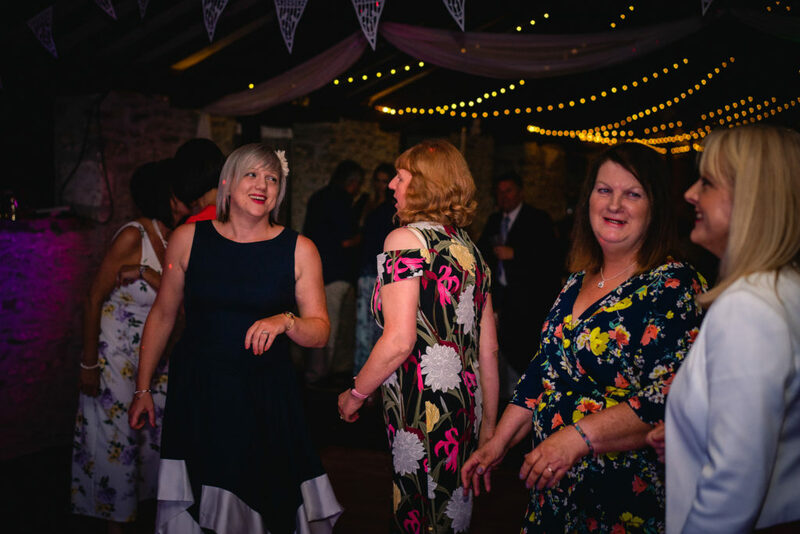 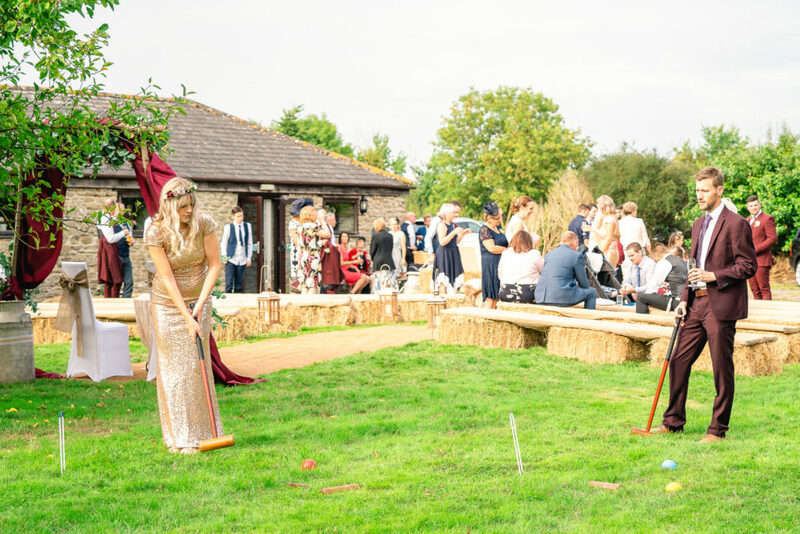 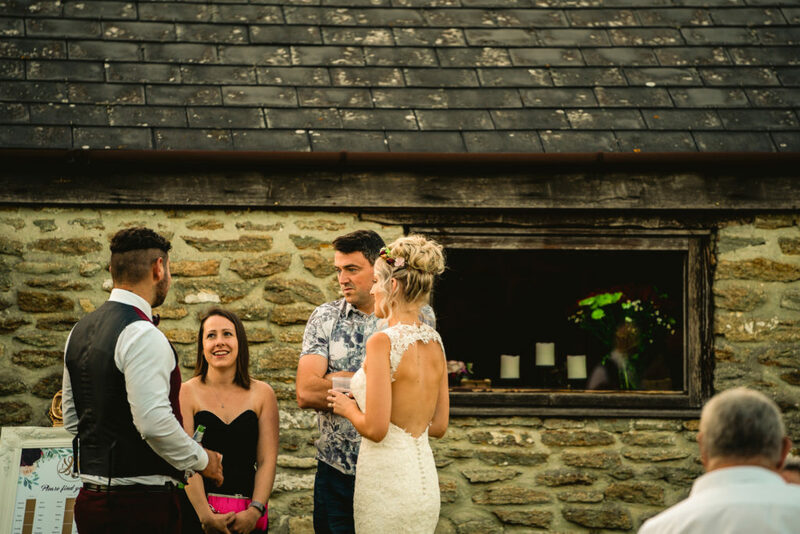 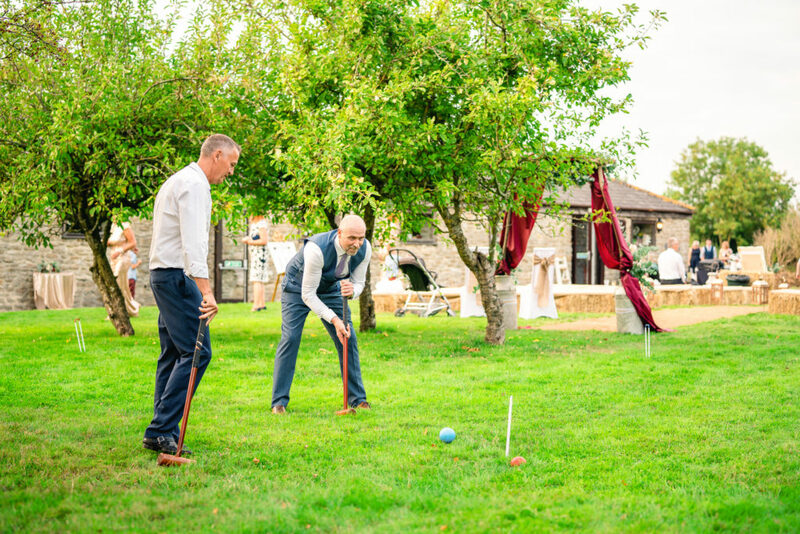 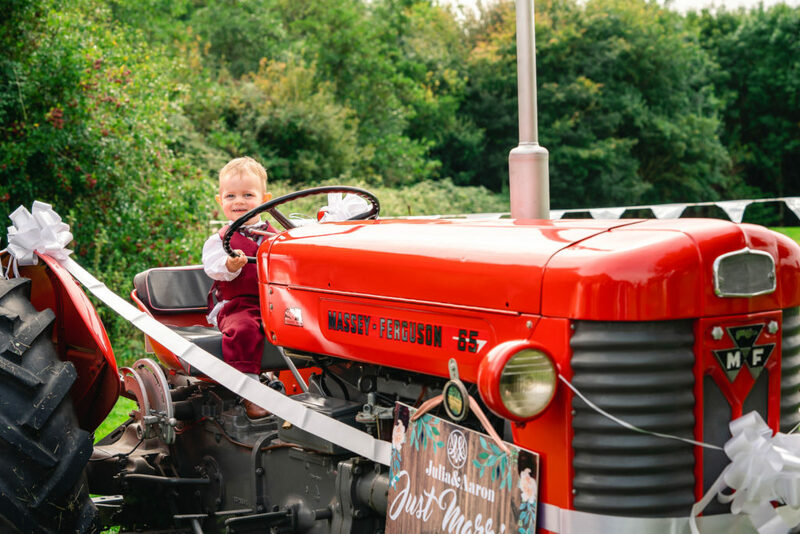 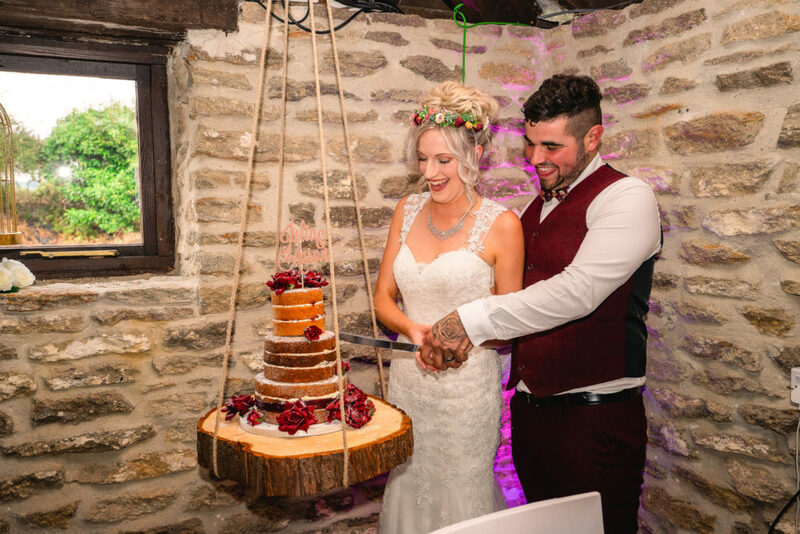 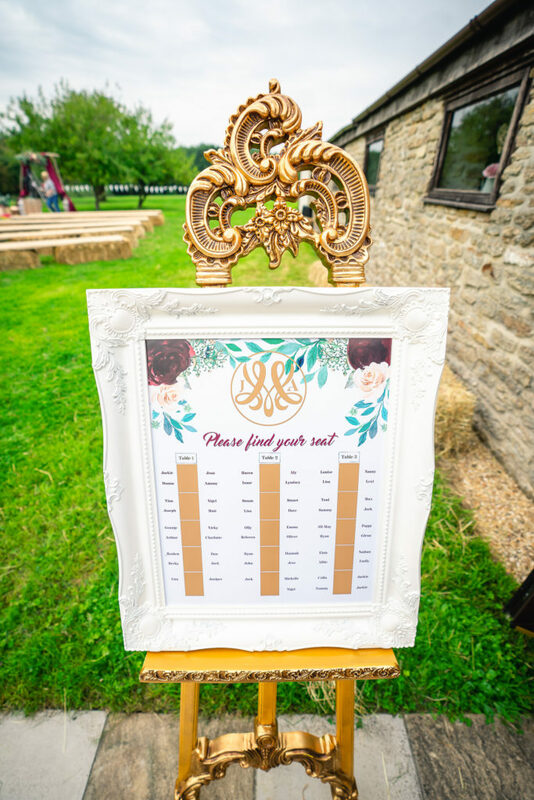 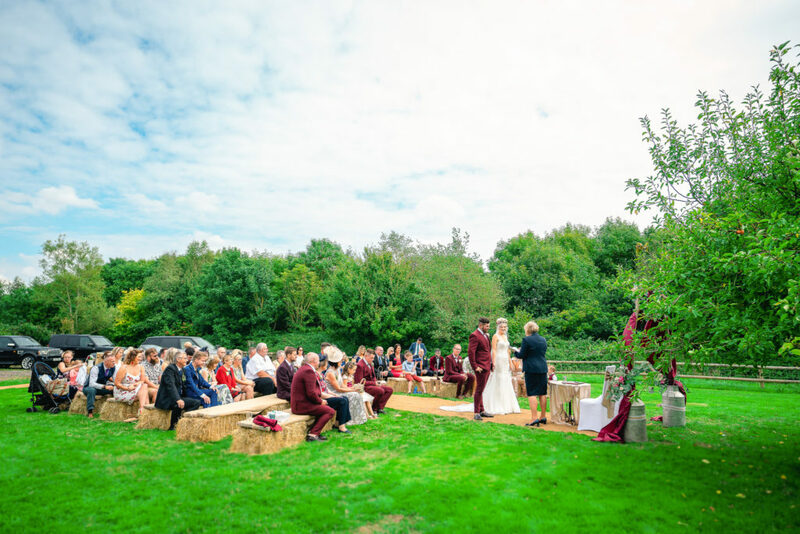 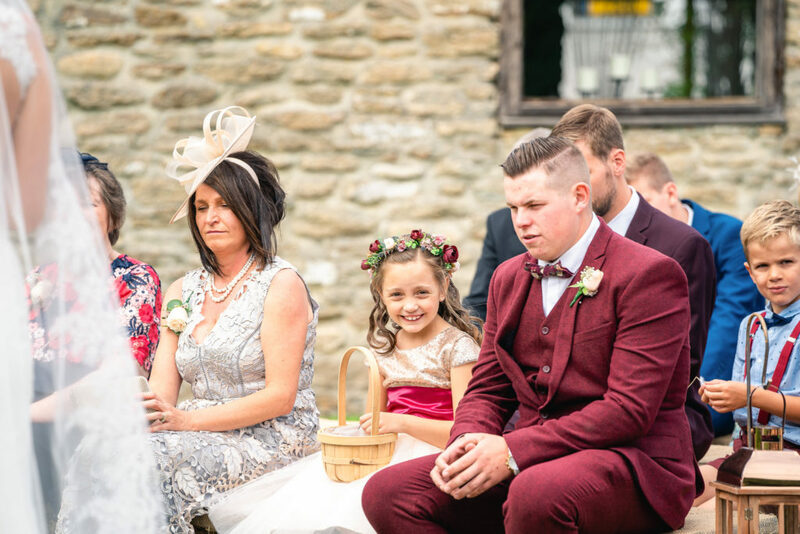 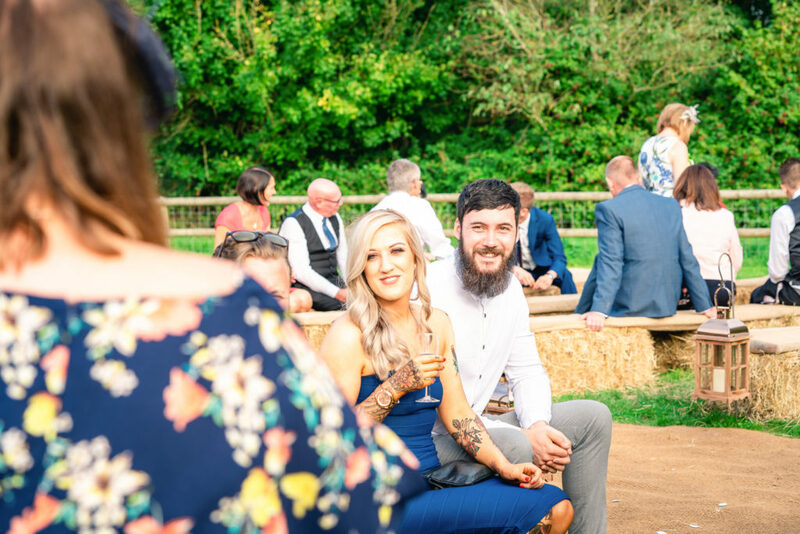 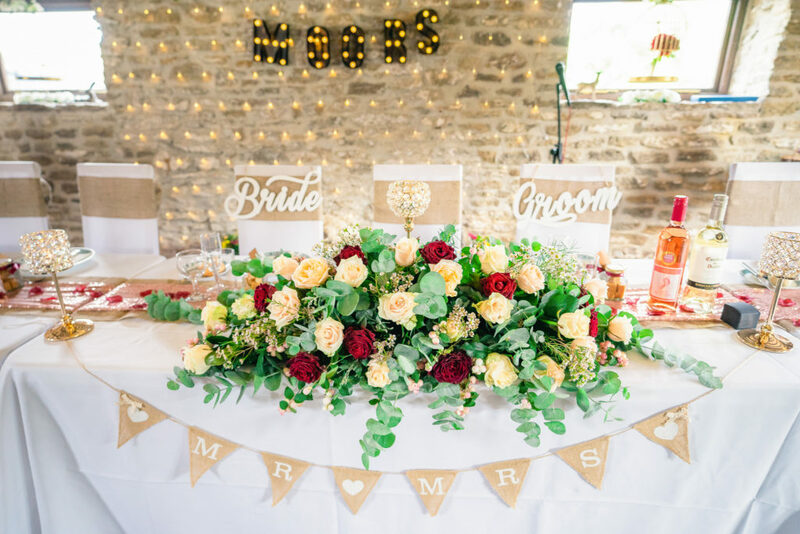 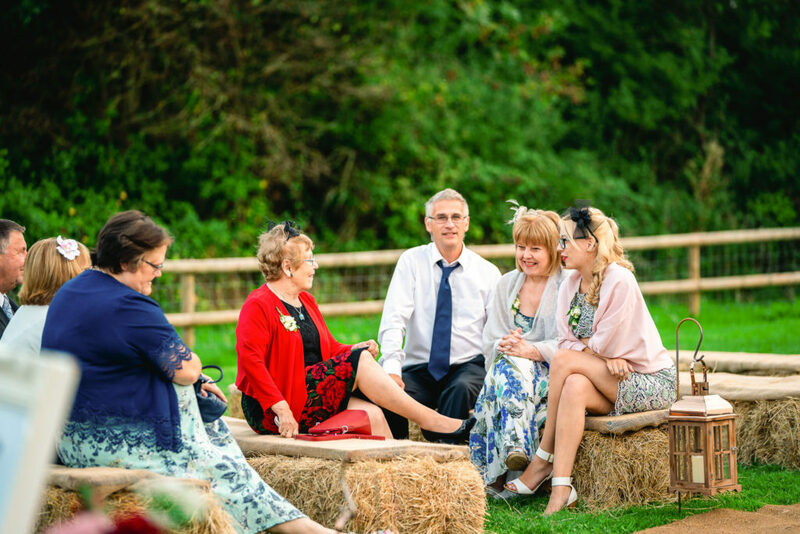 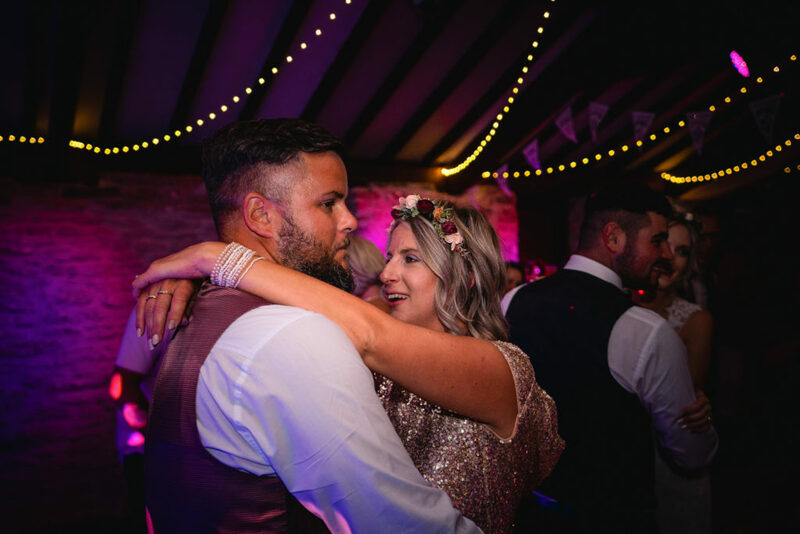 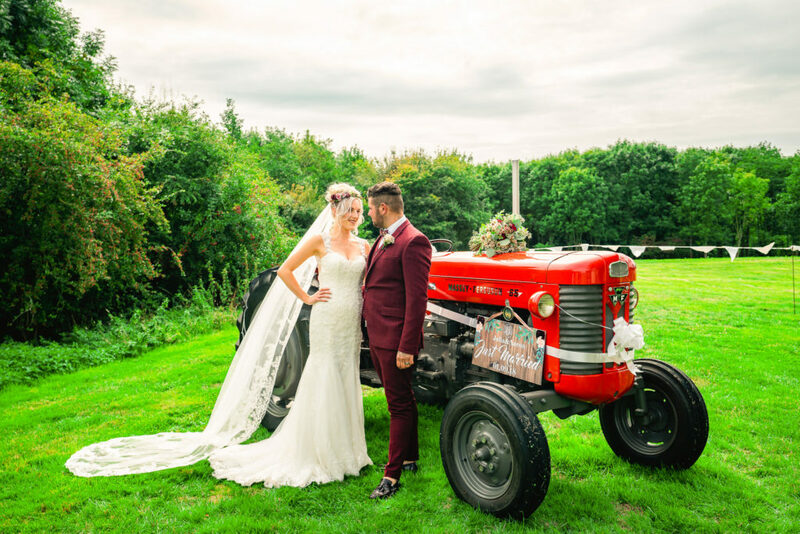 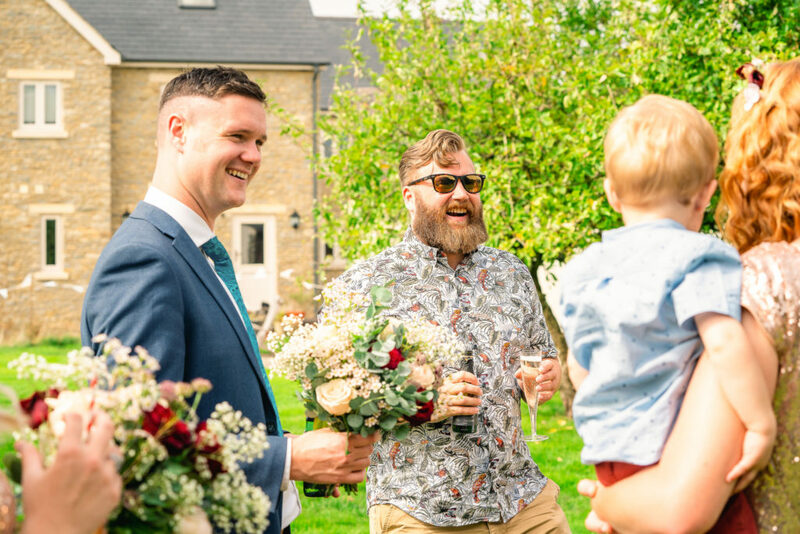 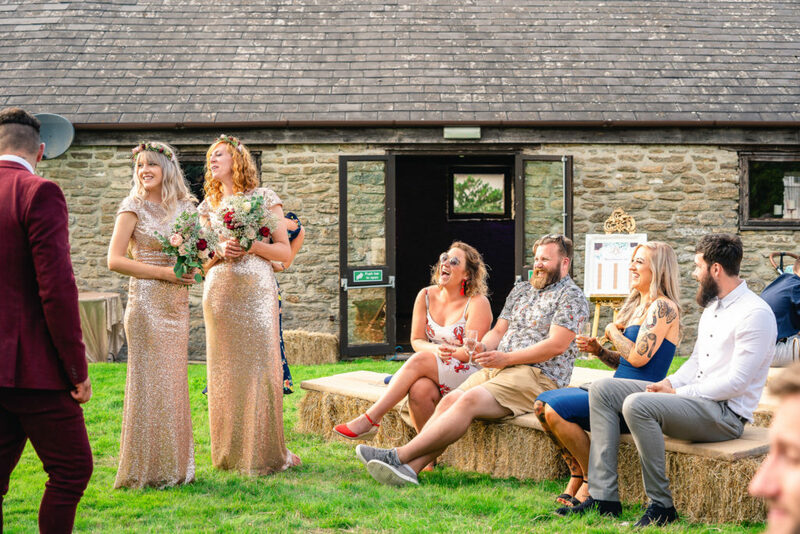 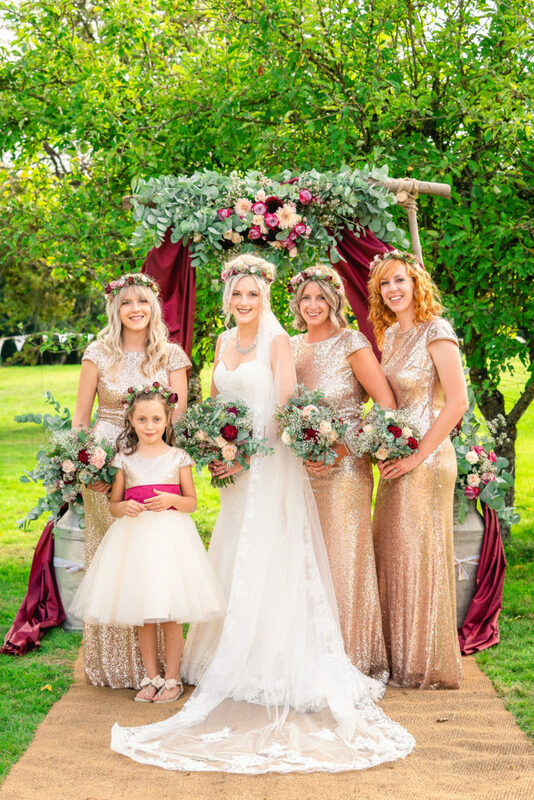 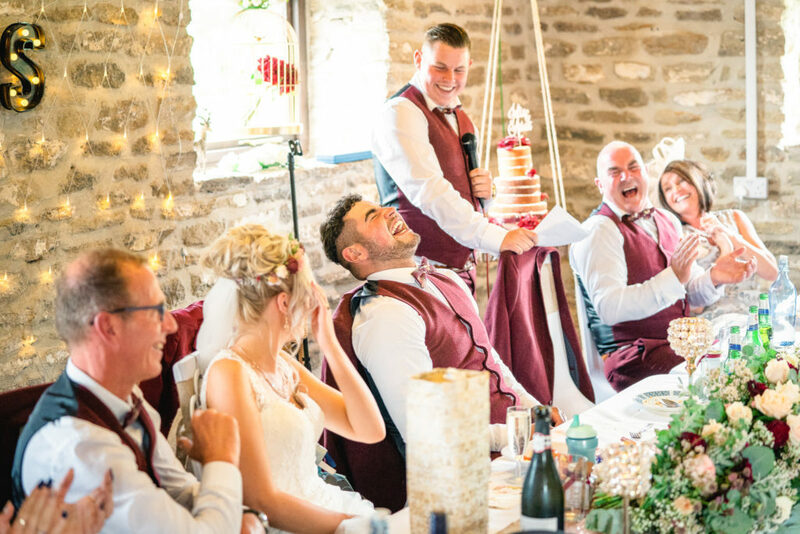 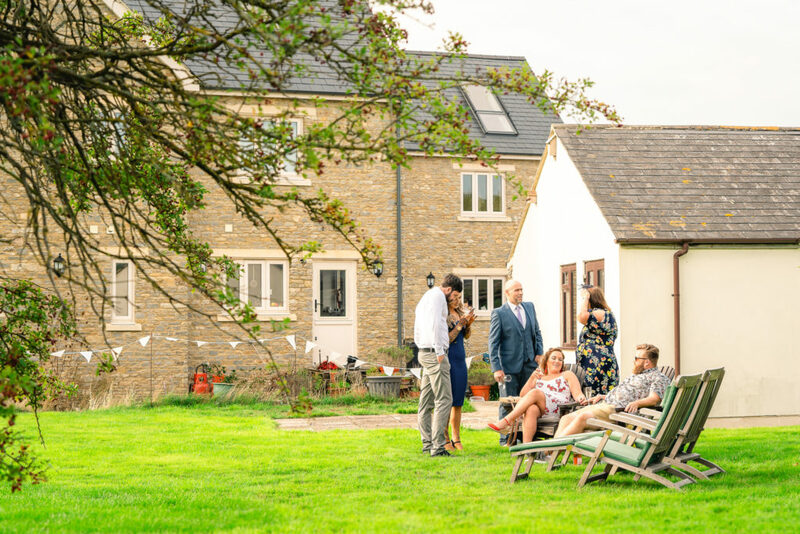 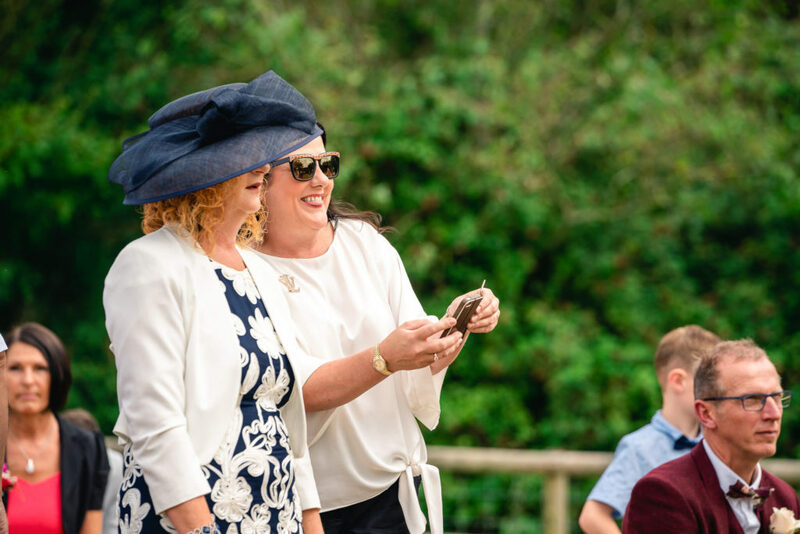 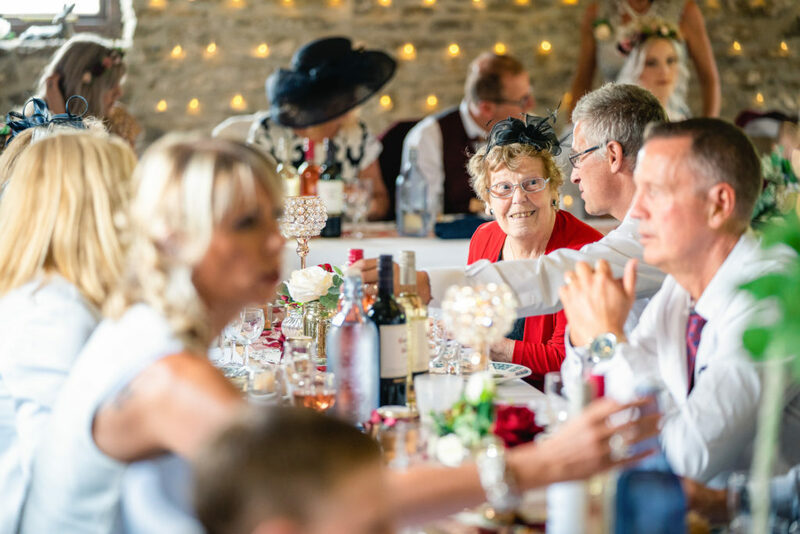 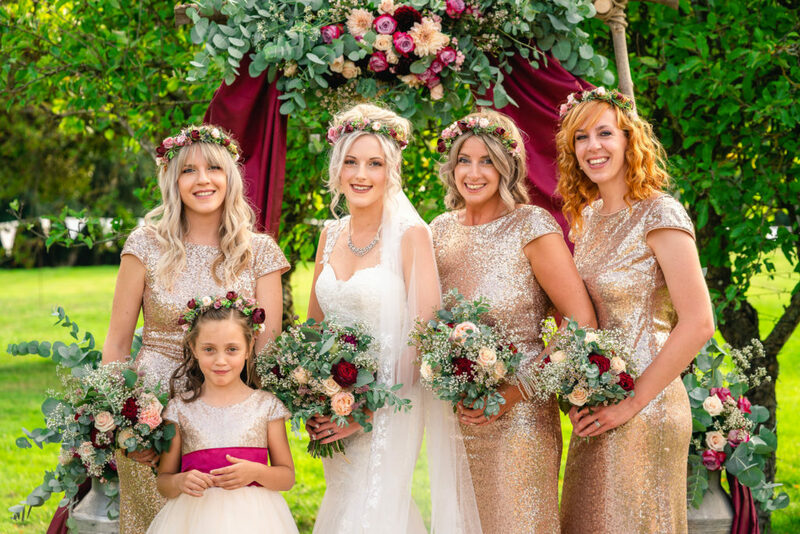 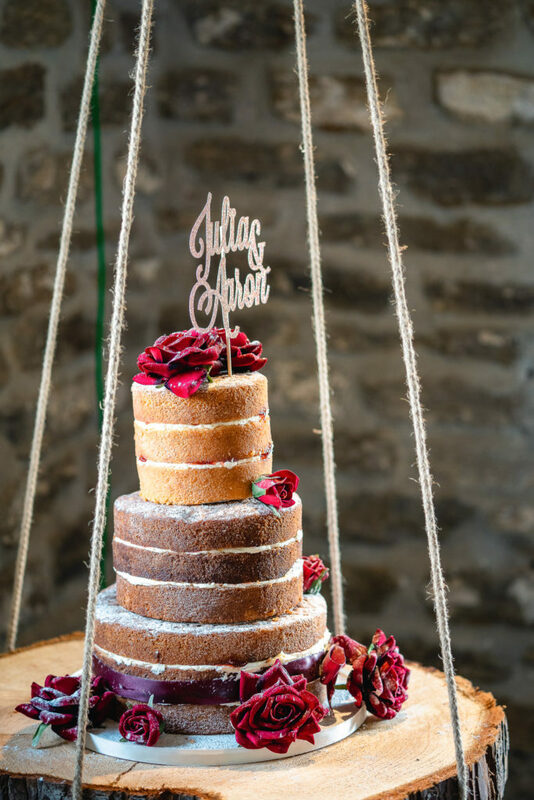 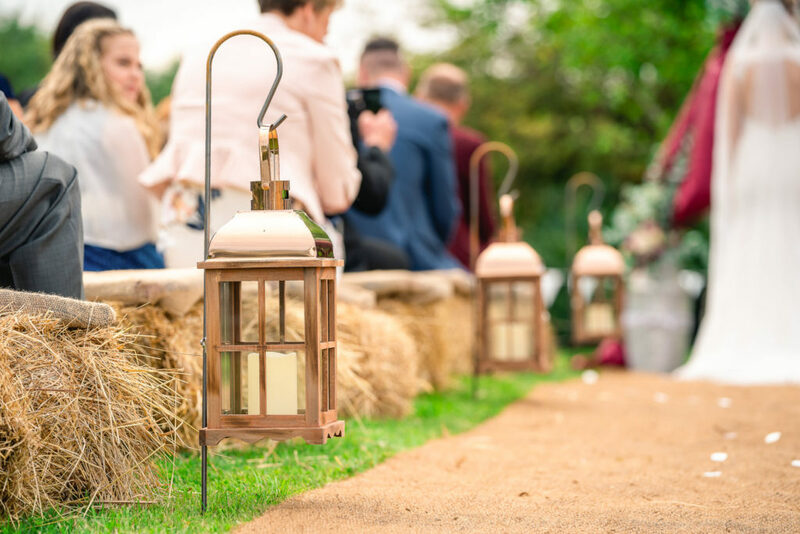 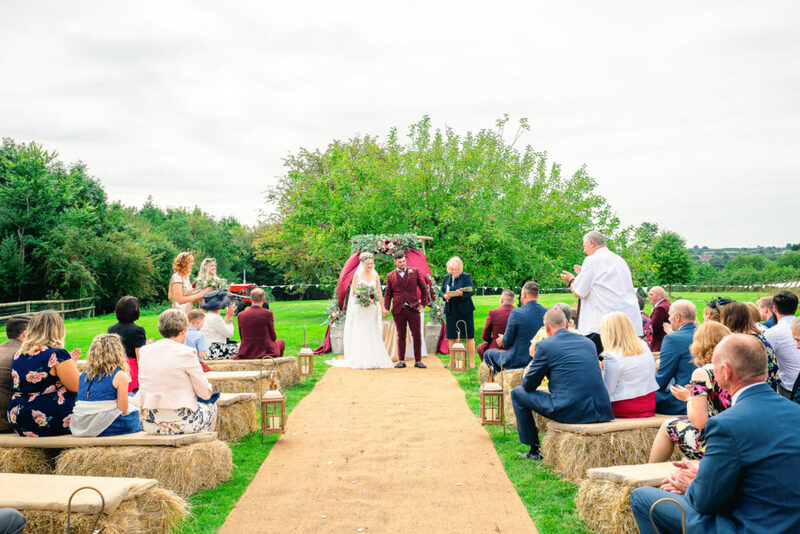 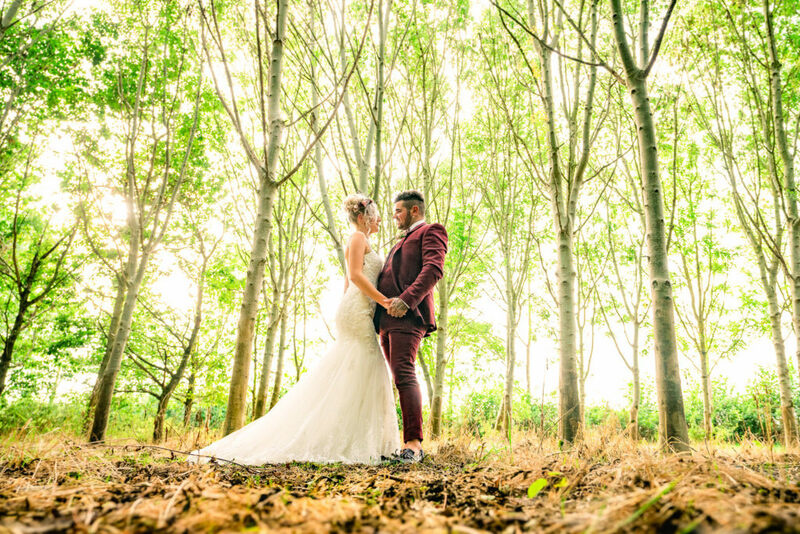 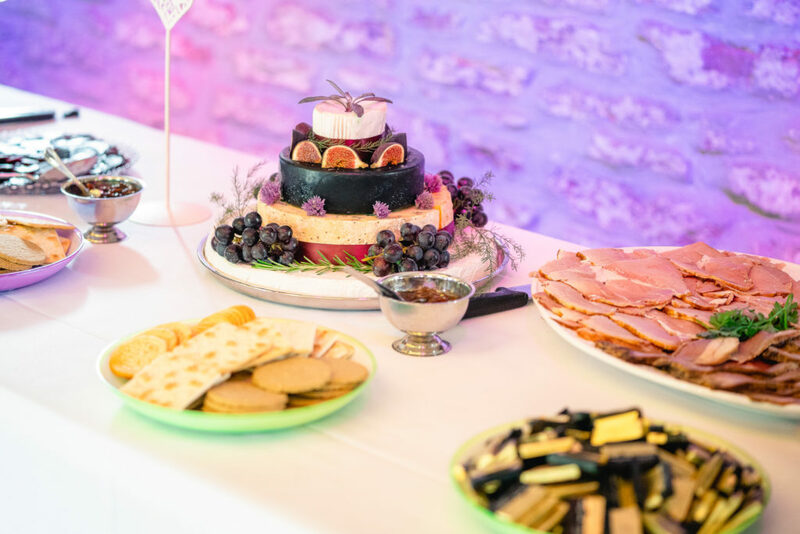 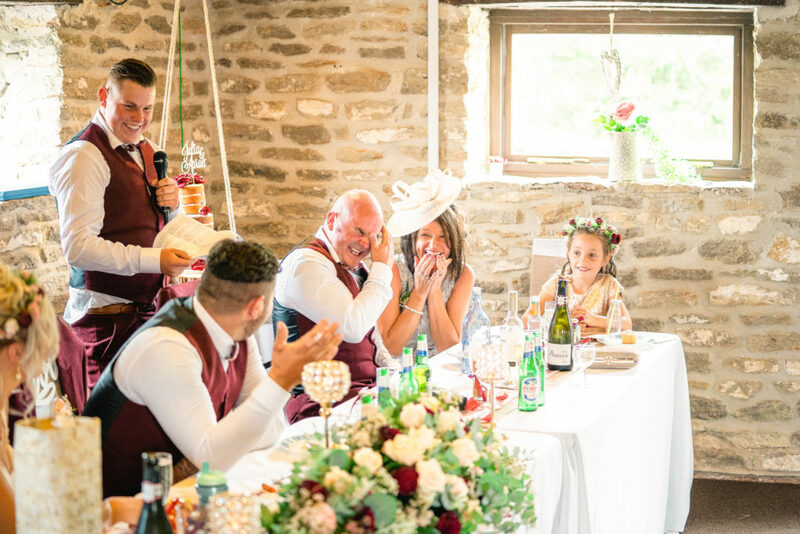 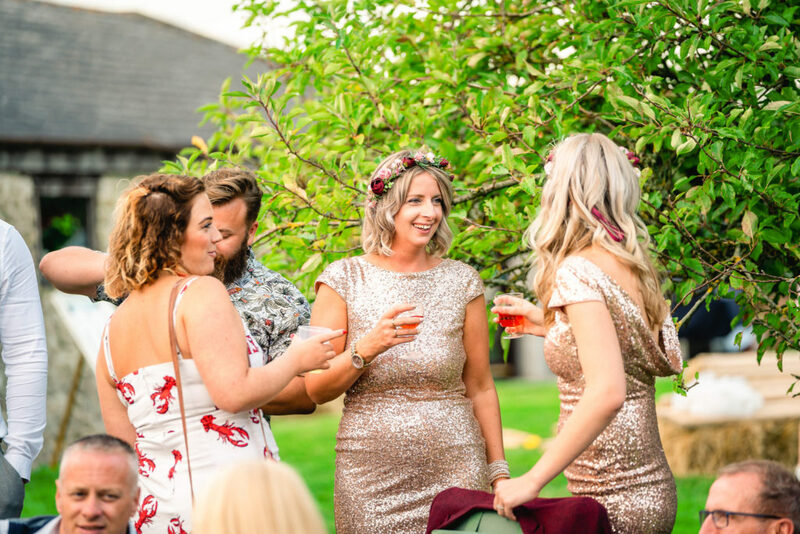 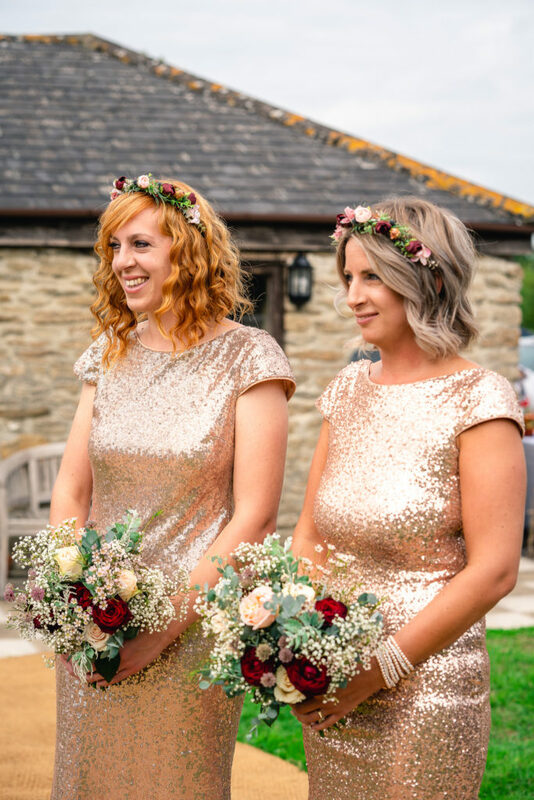 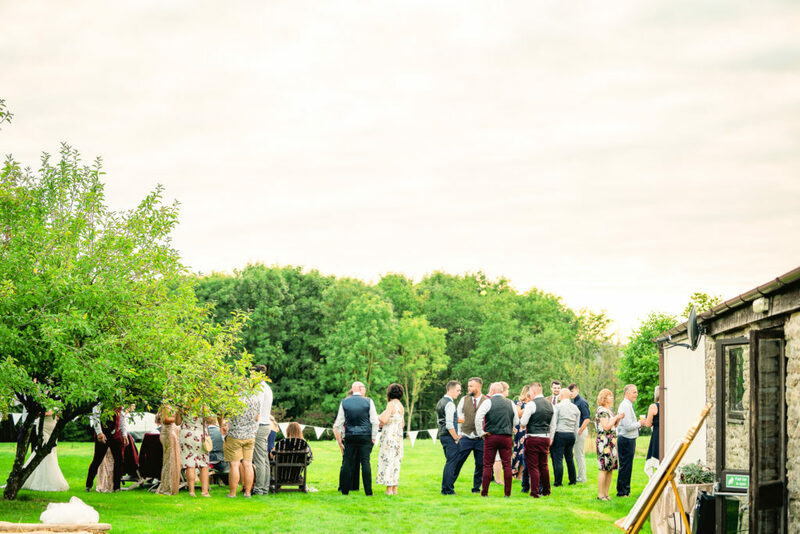 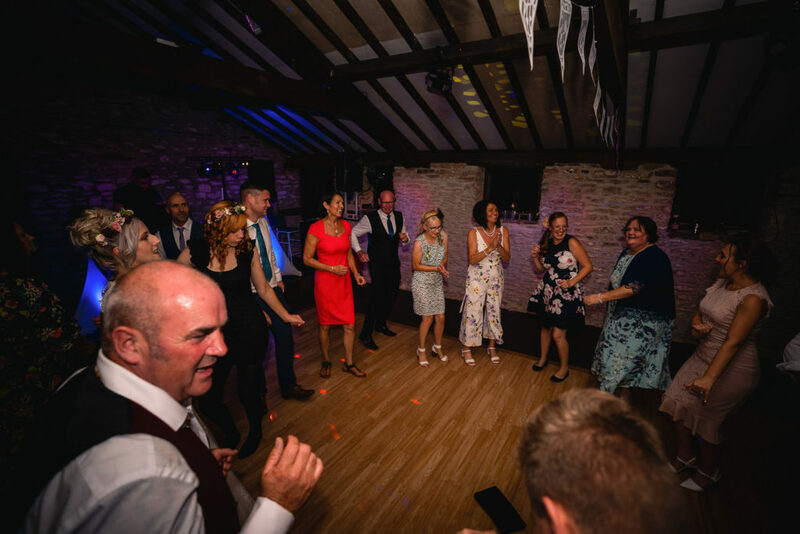 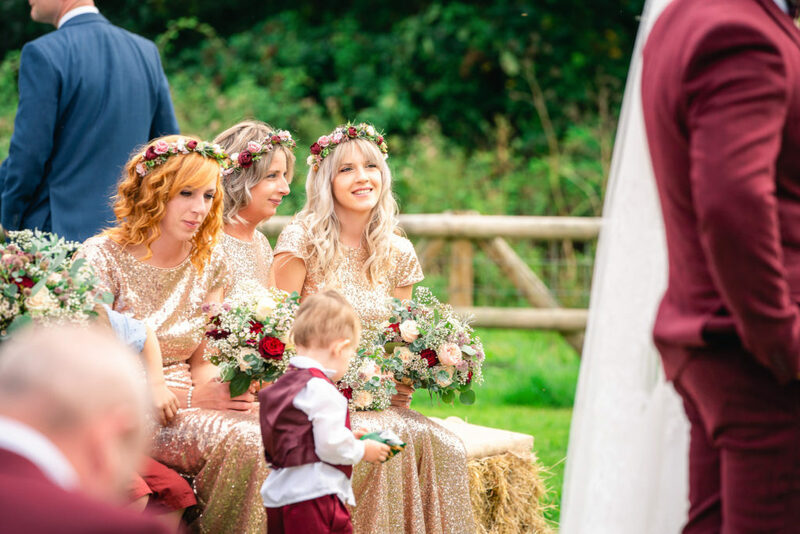 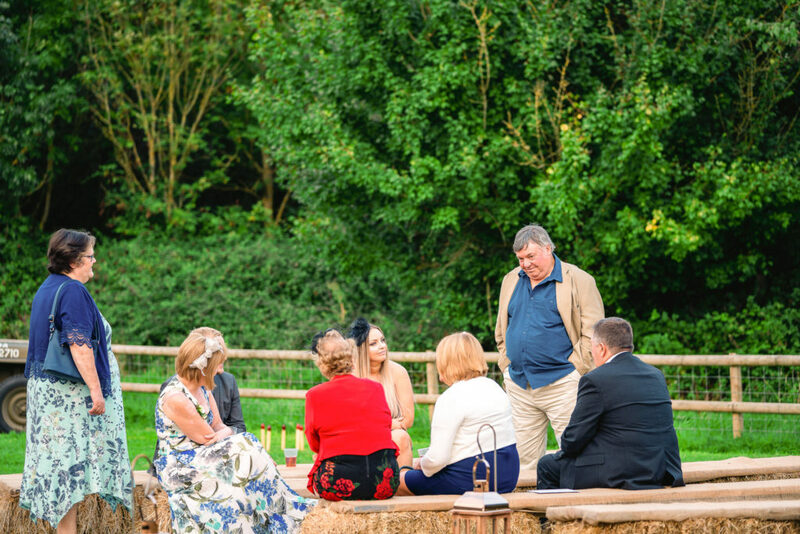 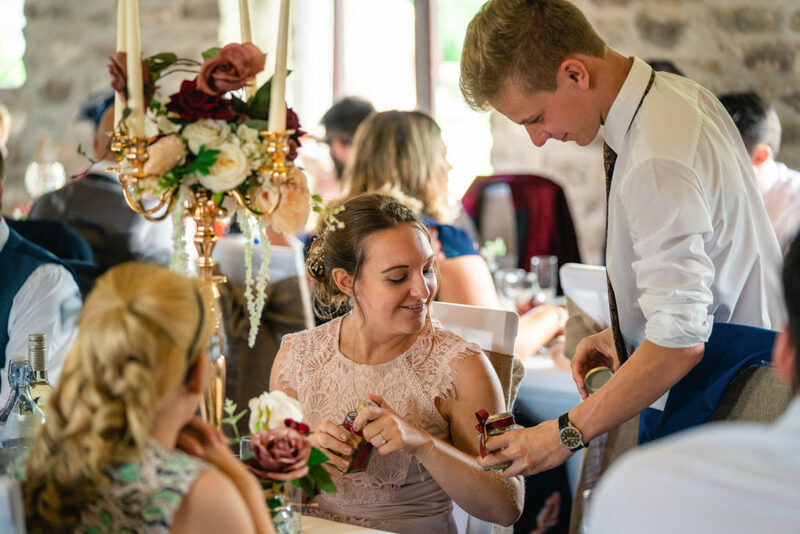 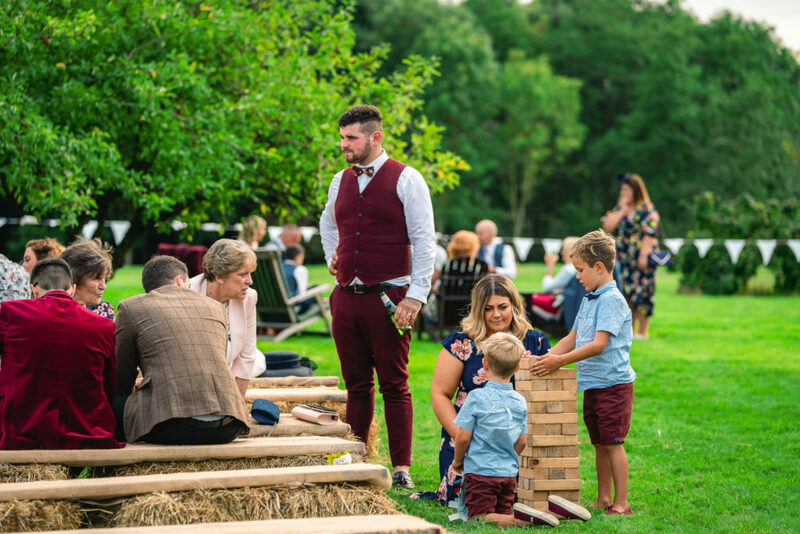 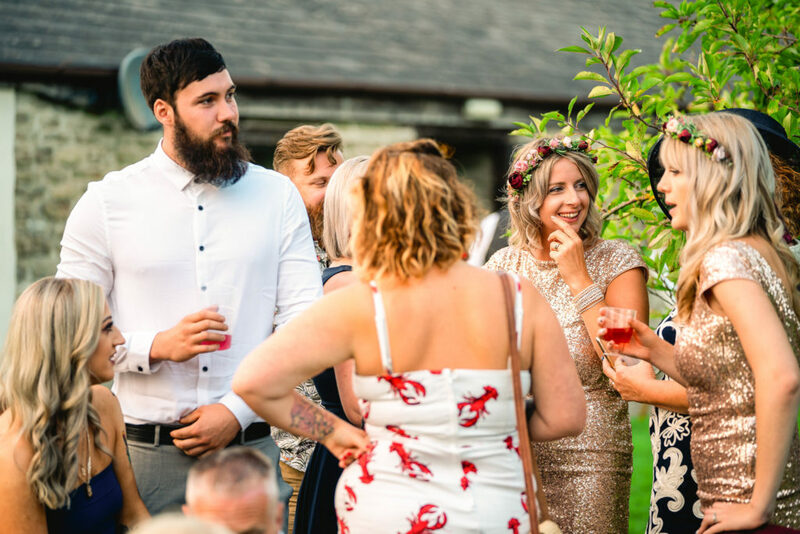 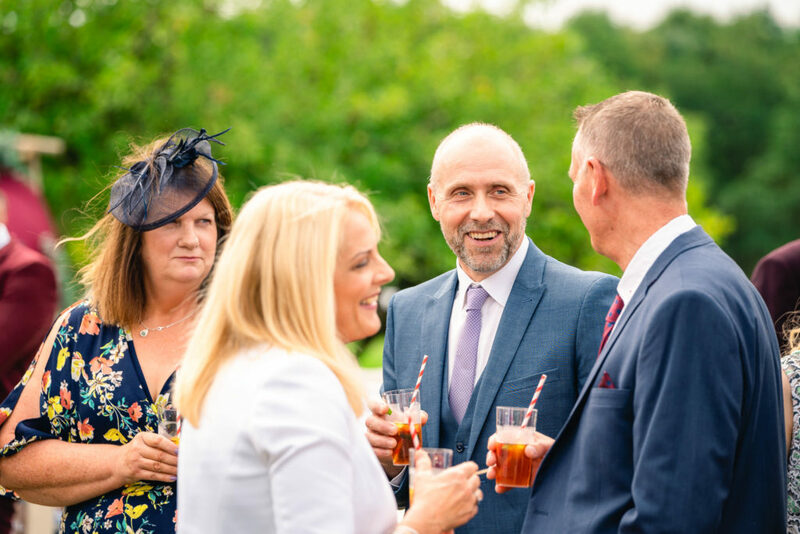 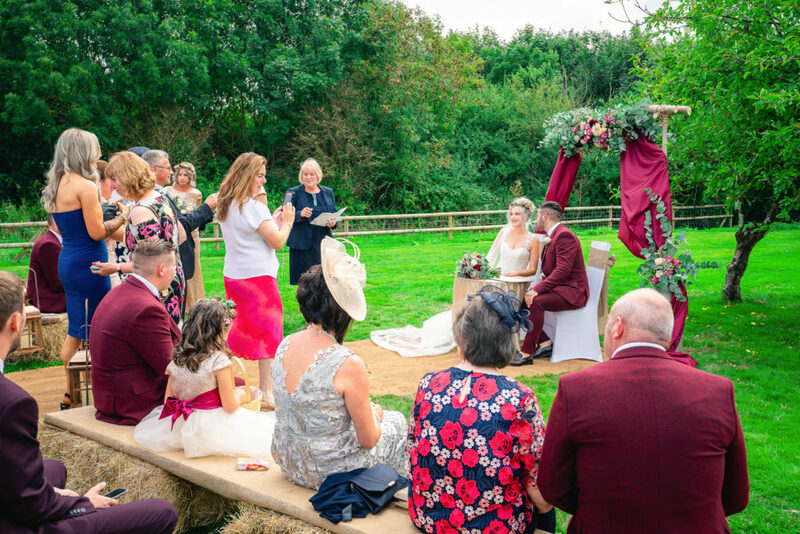 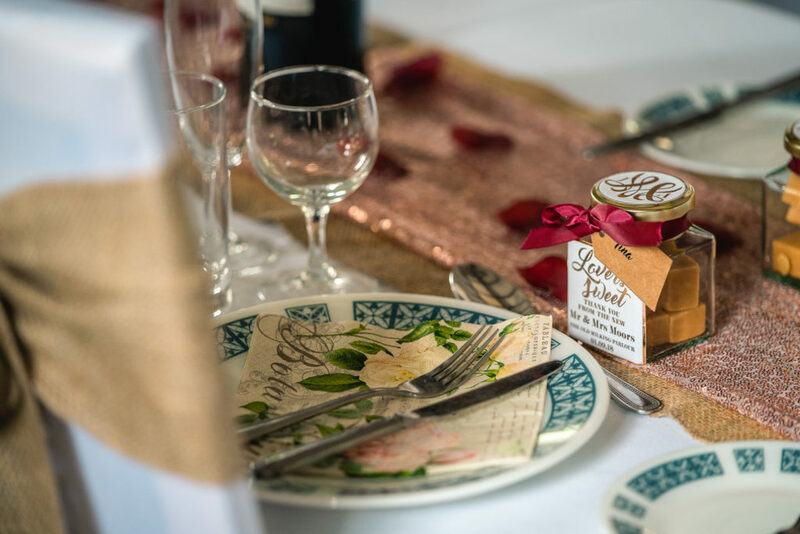 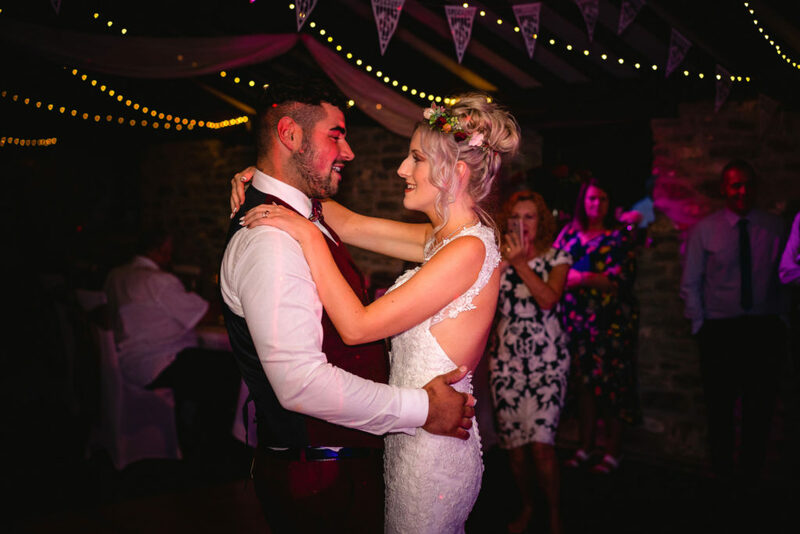 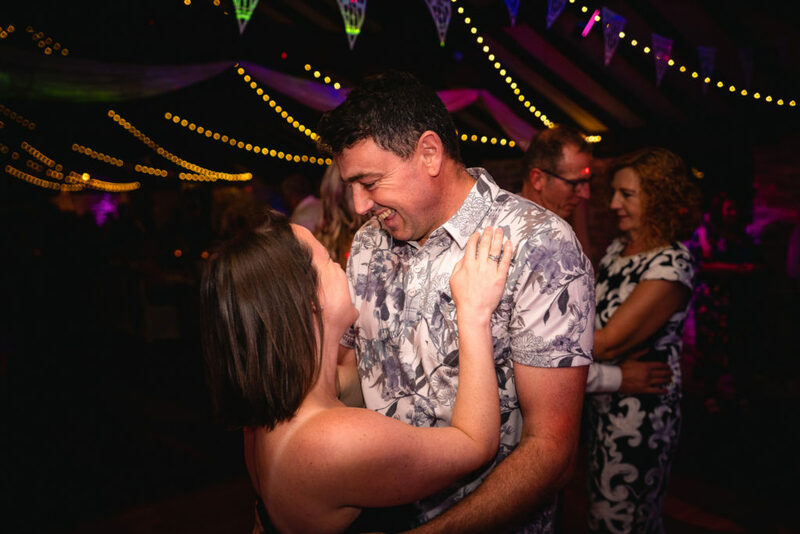 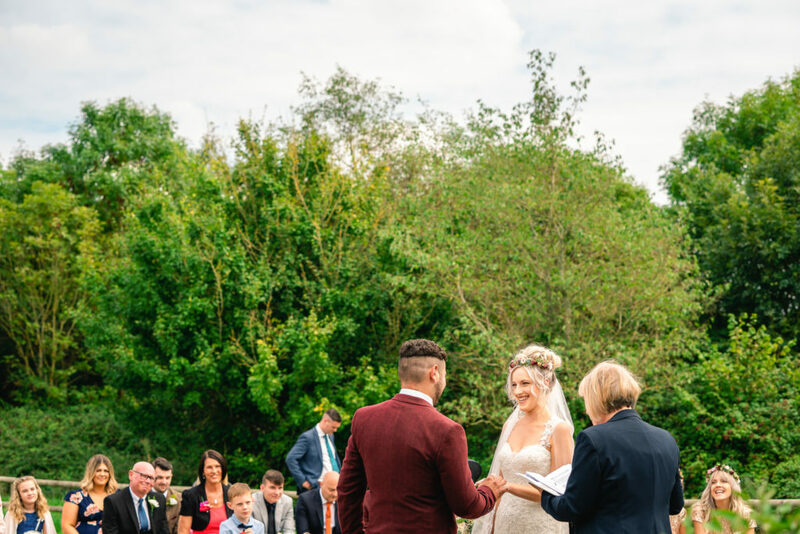 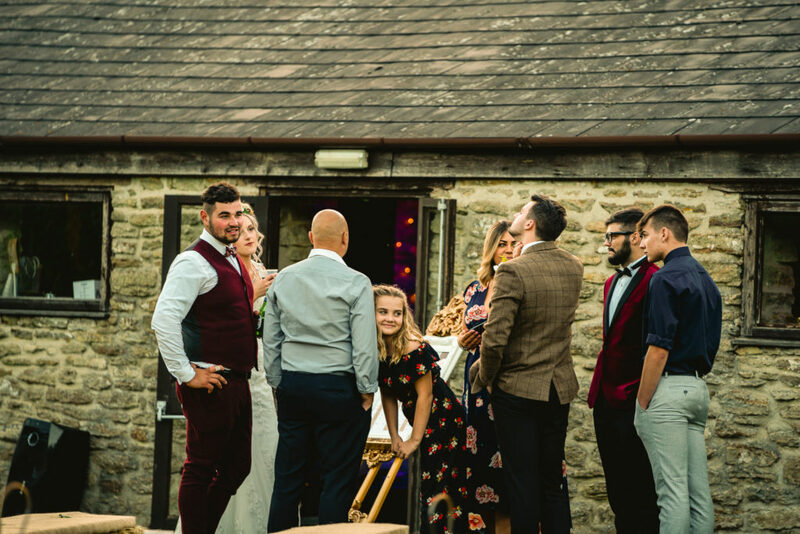 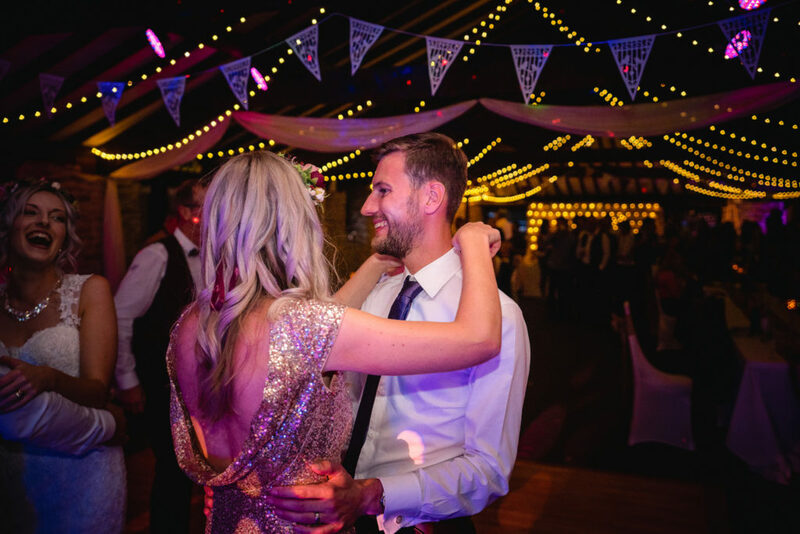 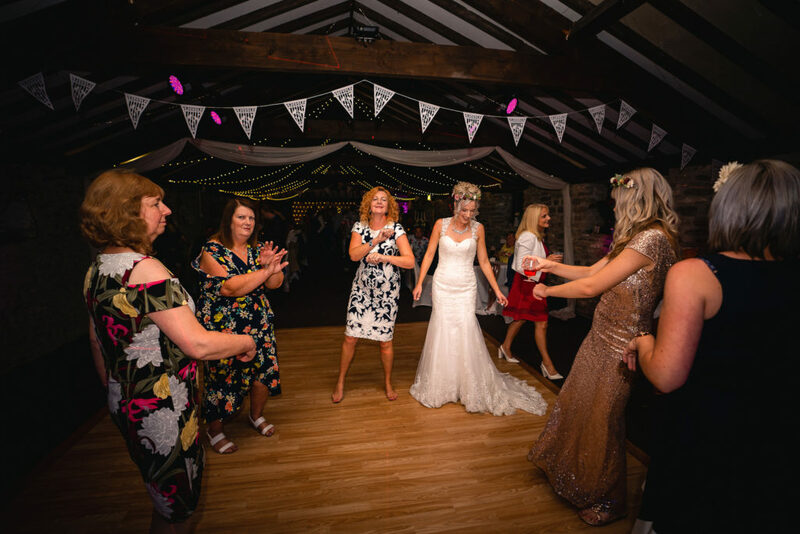 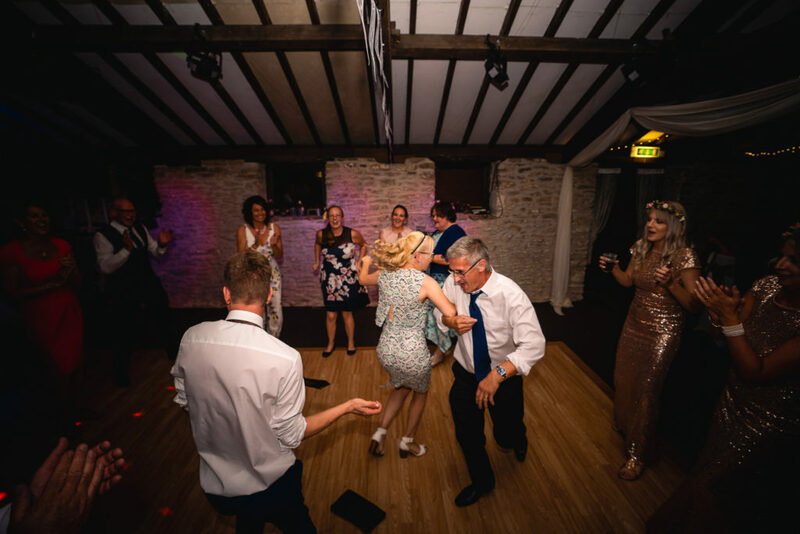 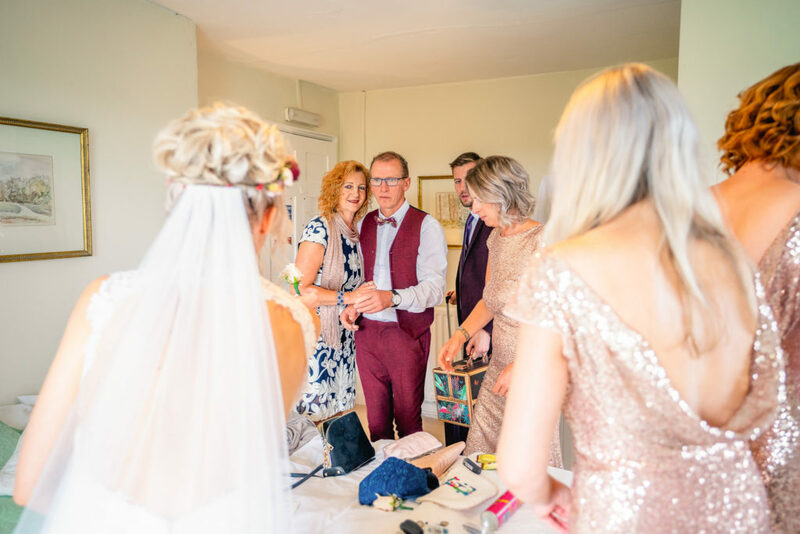 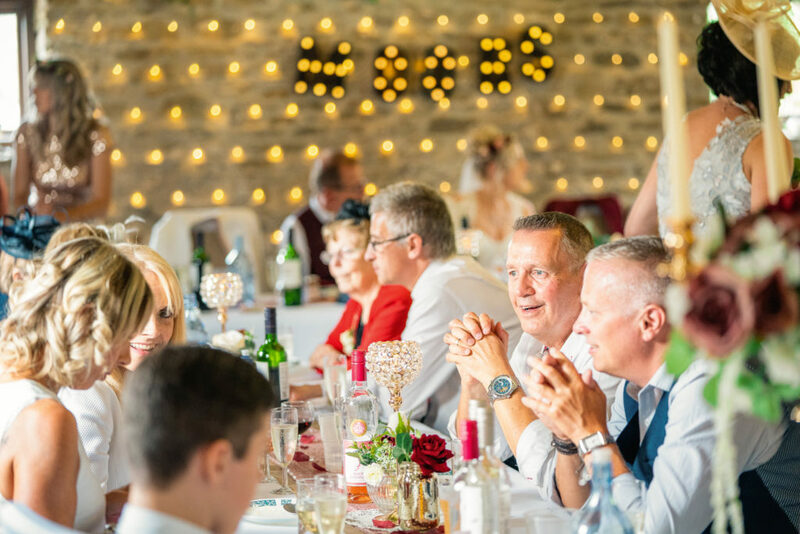 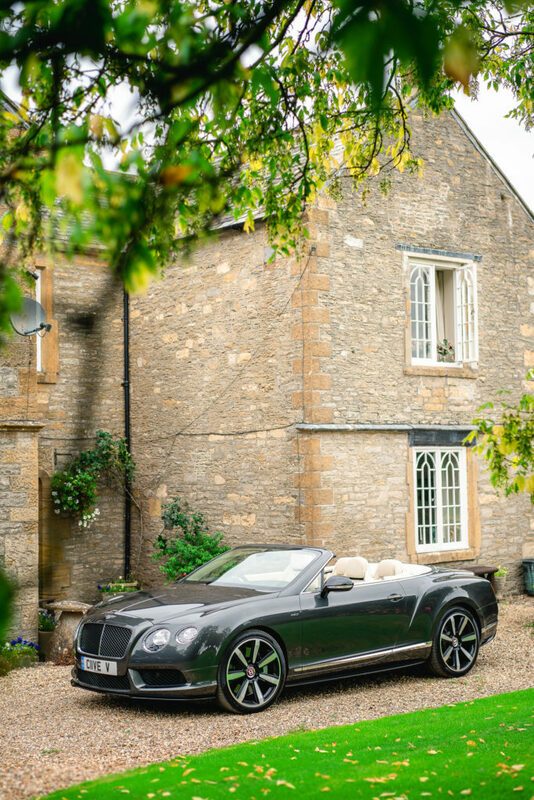 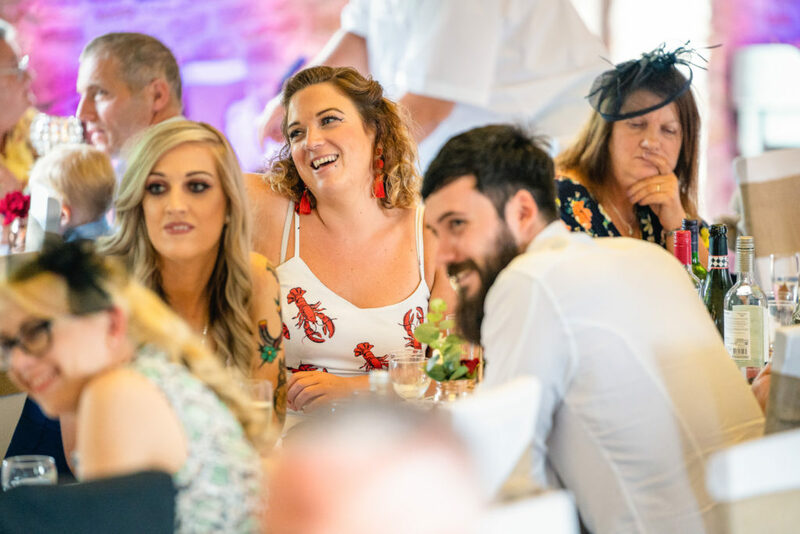 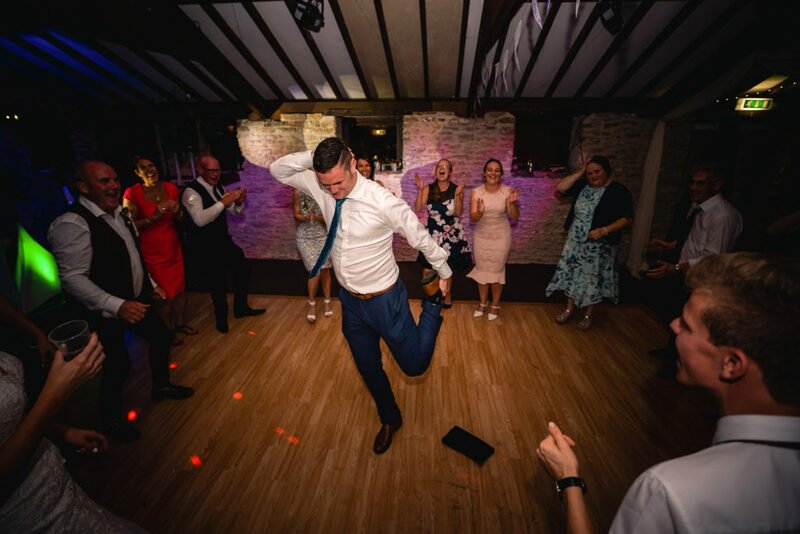 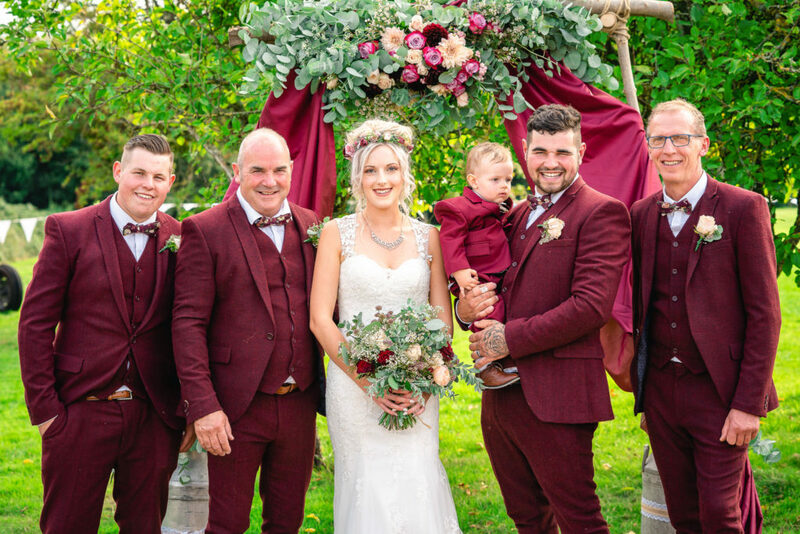 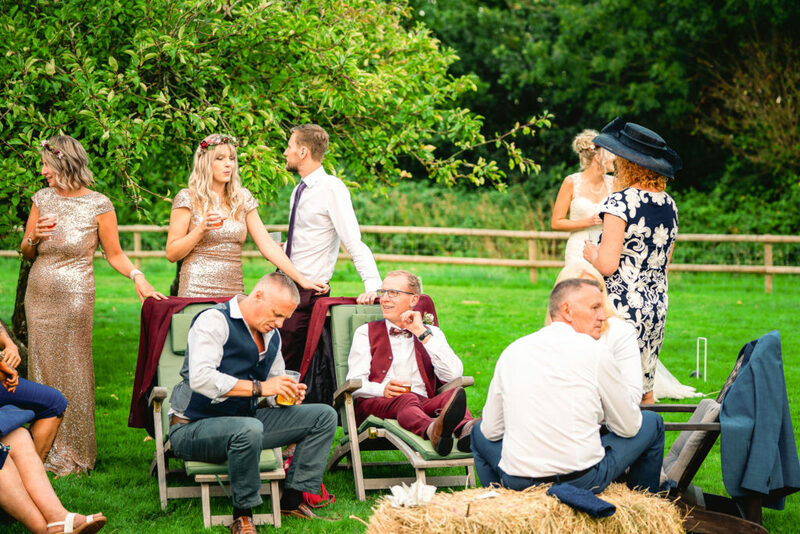 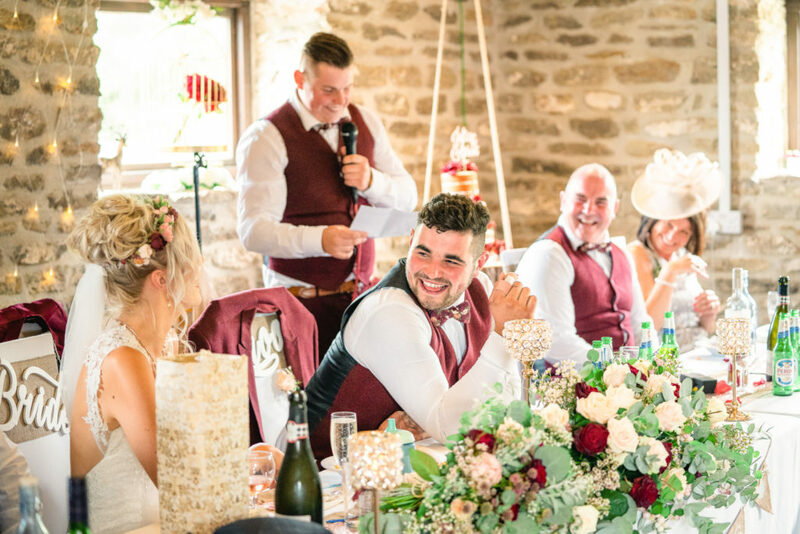 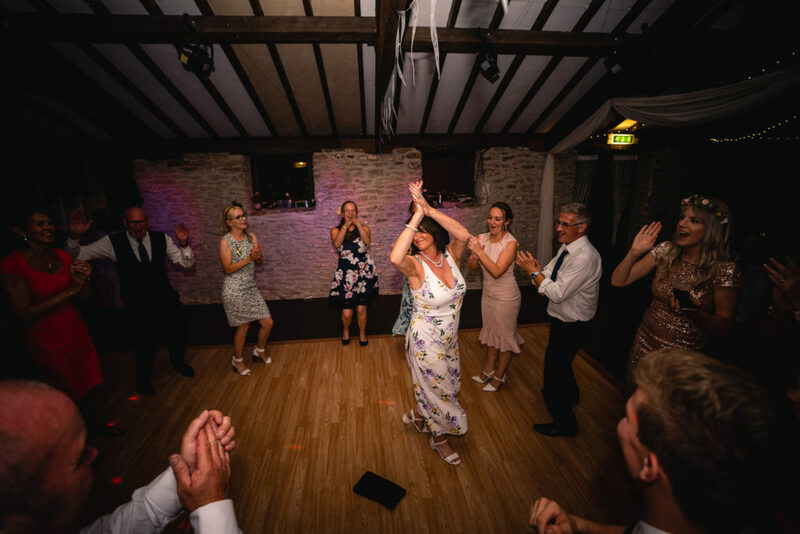 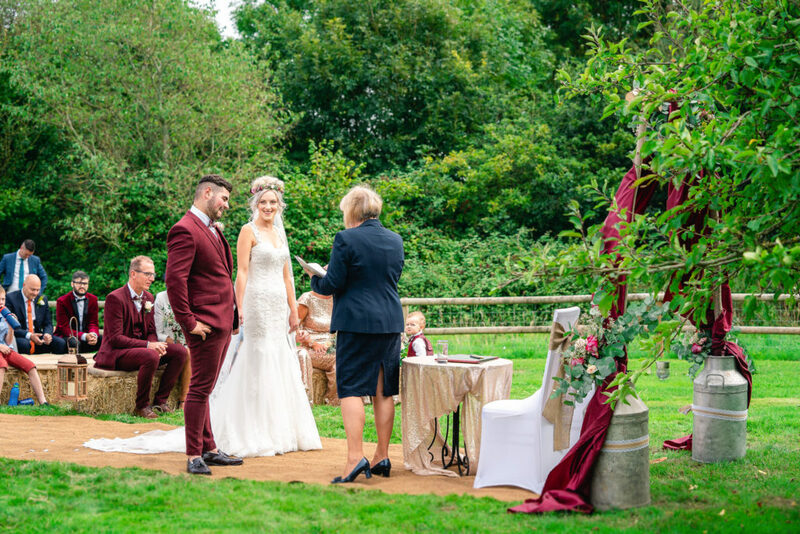 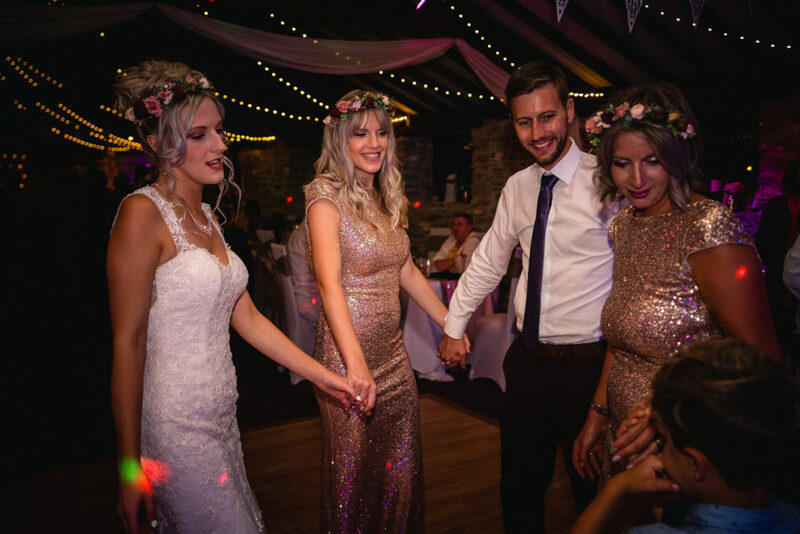 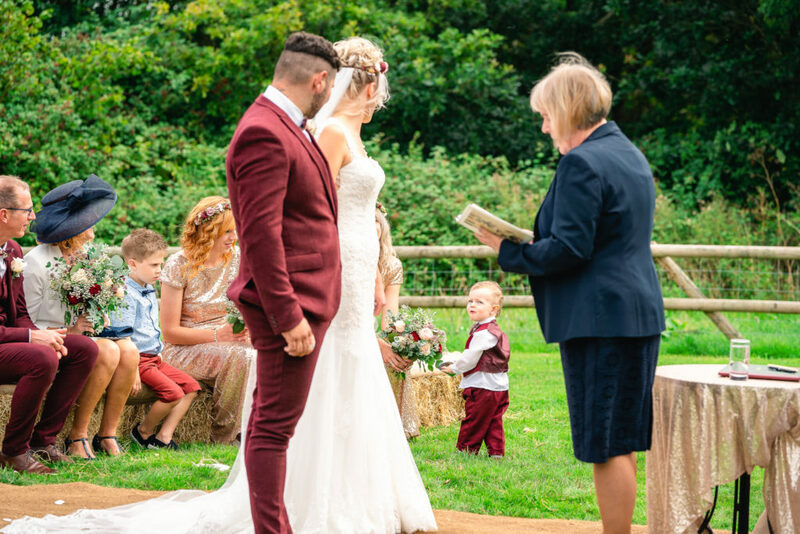 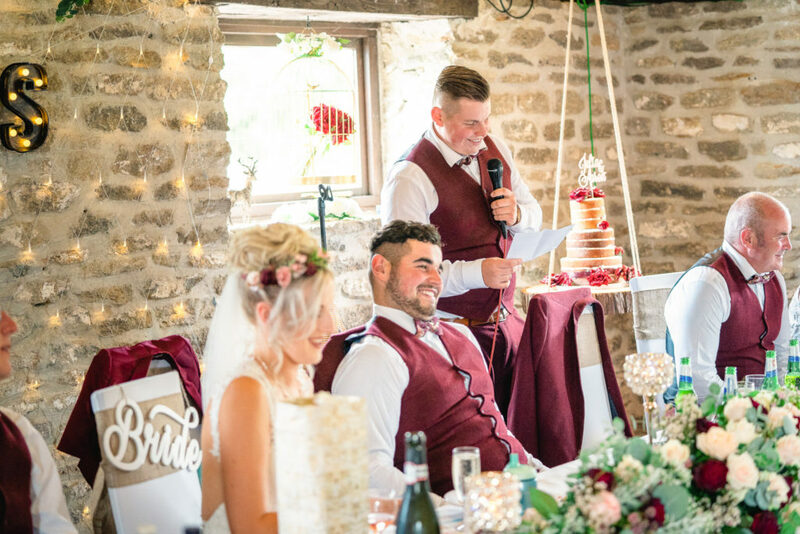 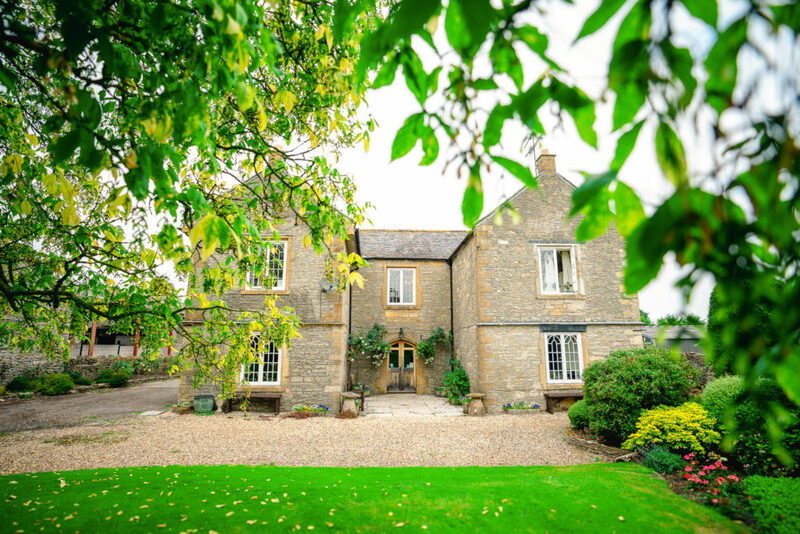 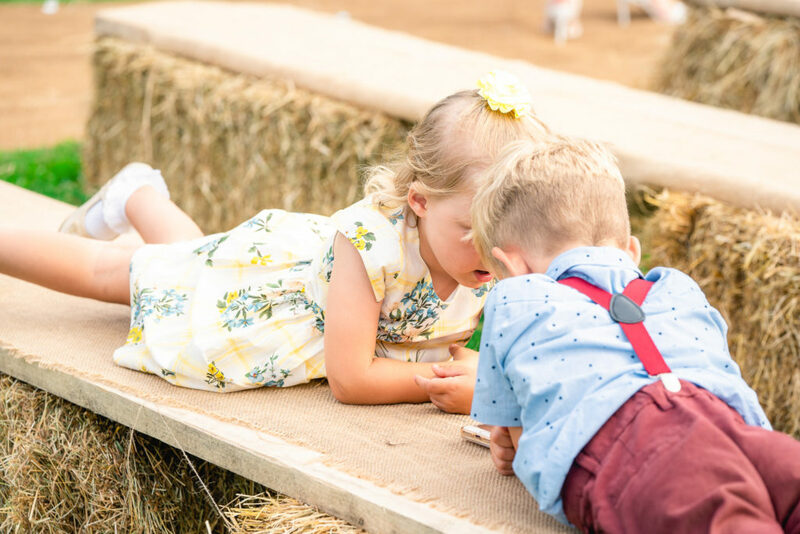 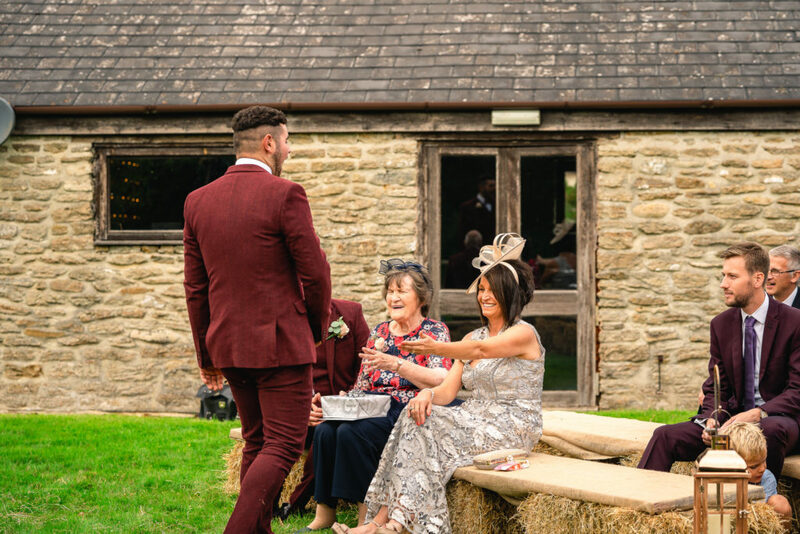 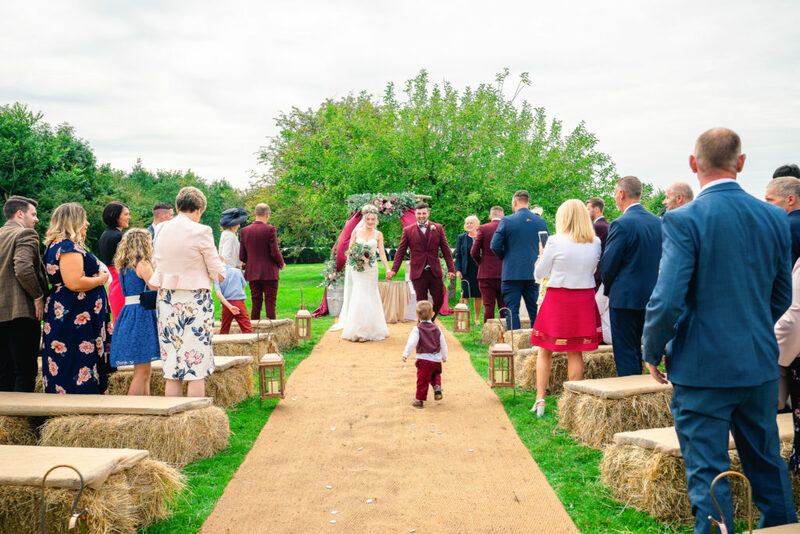 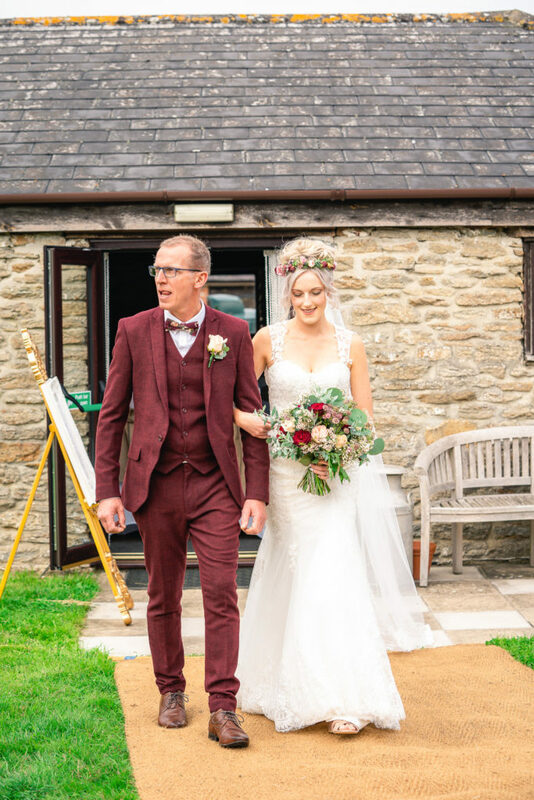 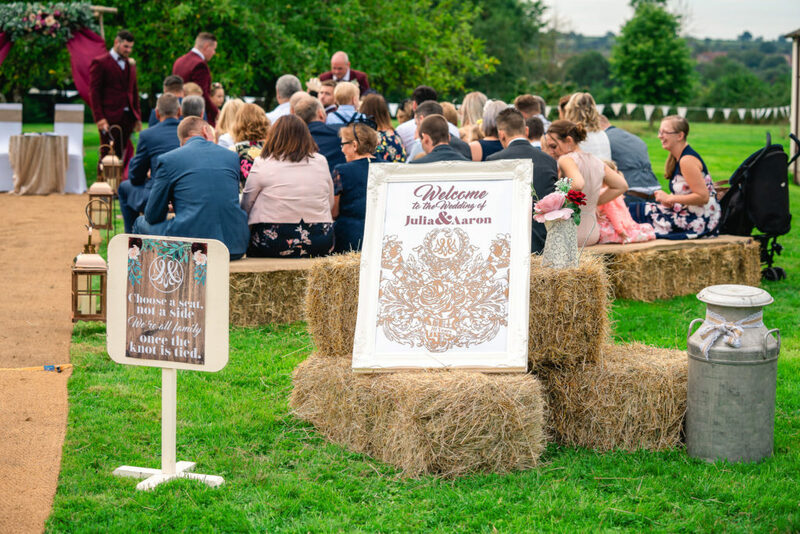 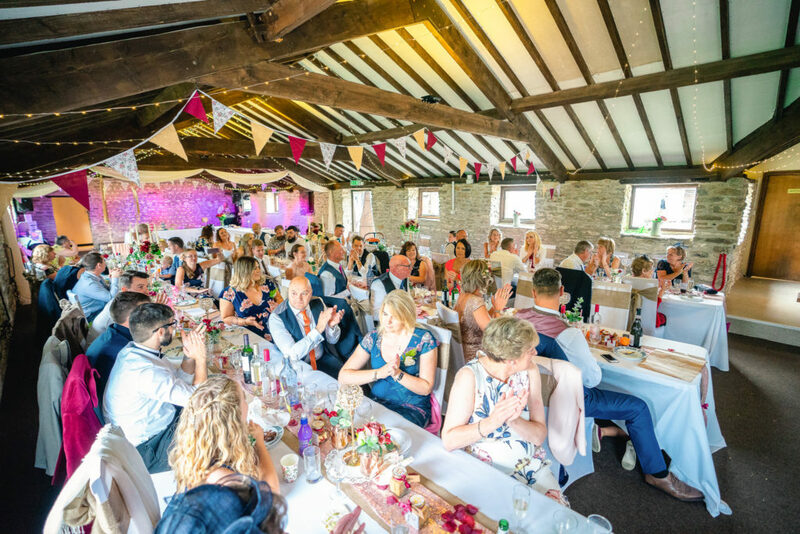 Their wedding breakfast was a lovely buffet full of amazing treats followed by a cheeky set of speeches and a sunny evening of fun and guests chilling in the lovely garden. 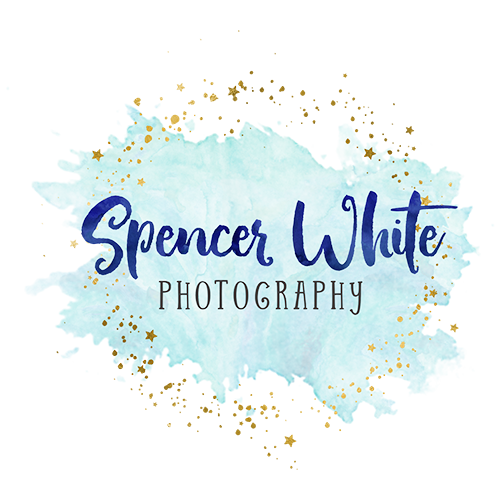 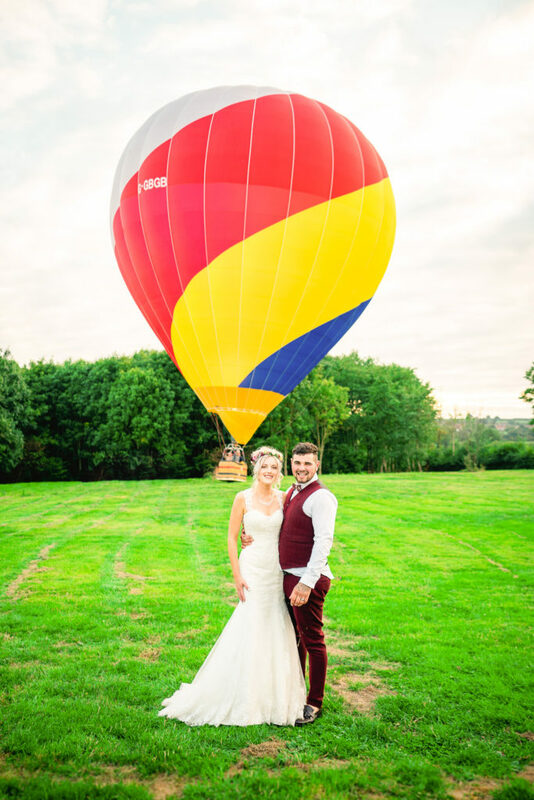 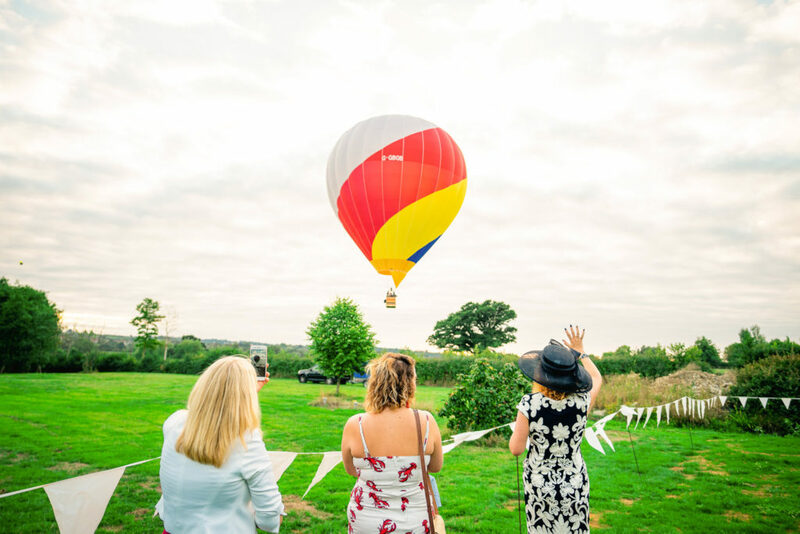 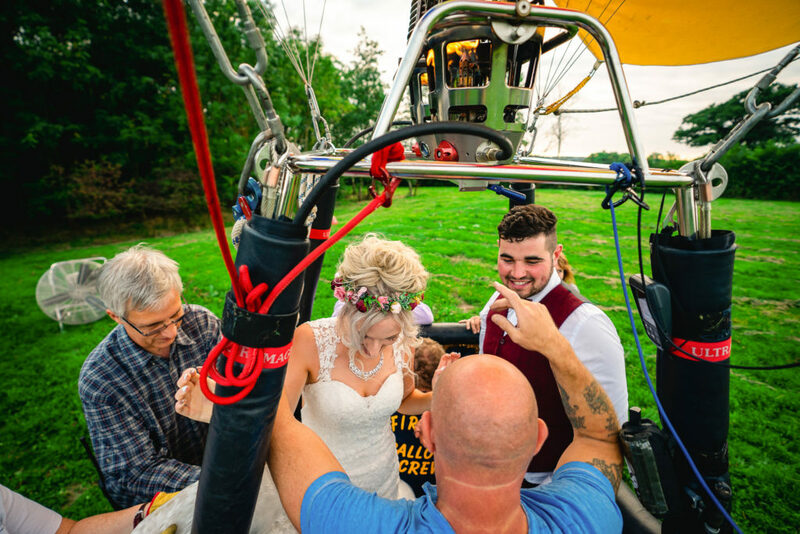 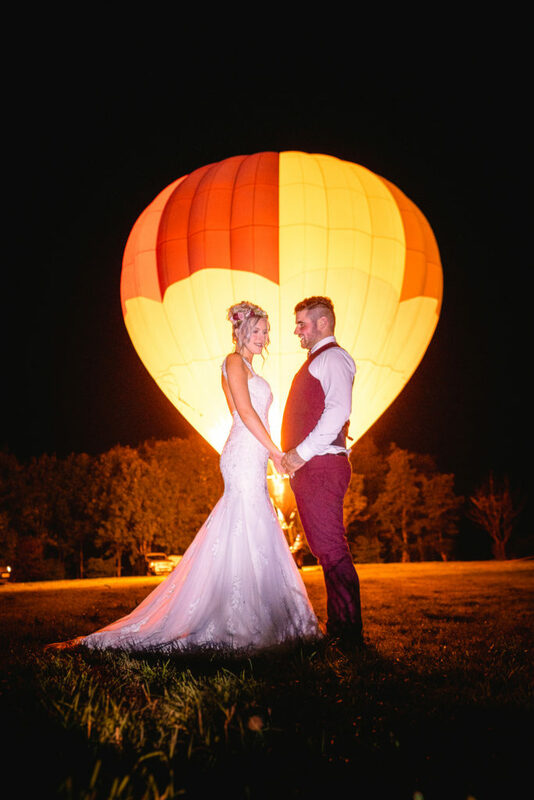 We headed off to the woods for couples photos and they even went up in a hot air balloon before partying hard into the night.